Rangers of Durrington can trace its business roots back to the turn of the century, with the horse drawn wagonette in 1910 taking sightseers on trips to Stonehenge. 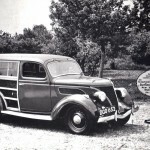 And the first motorised bus circa 1920 in Salisbury market square. 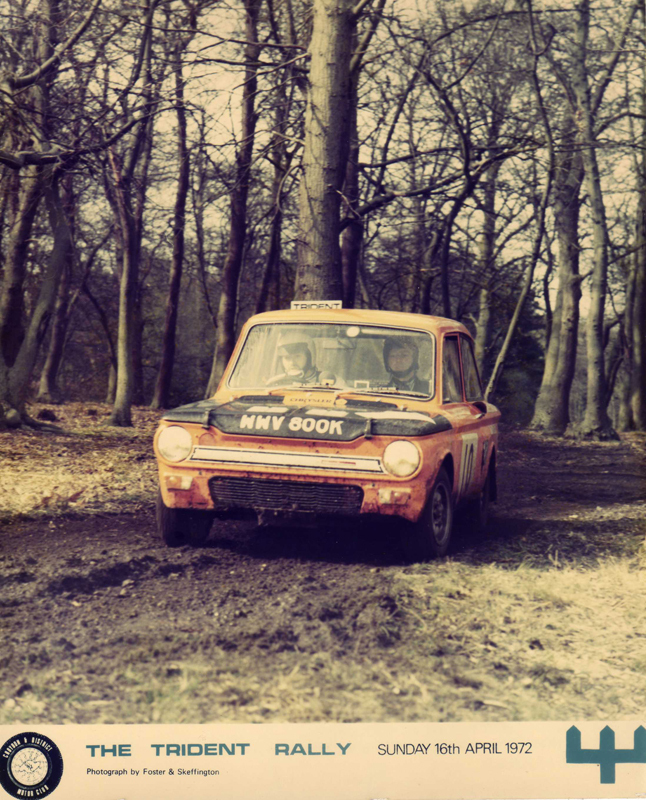 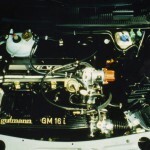 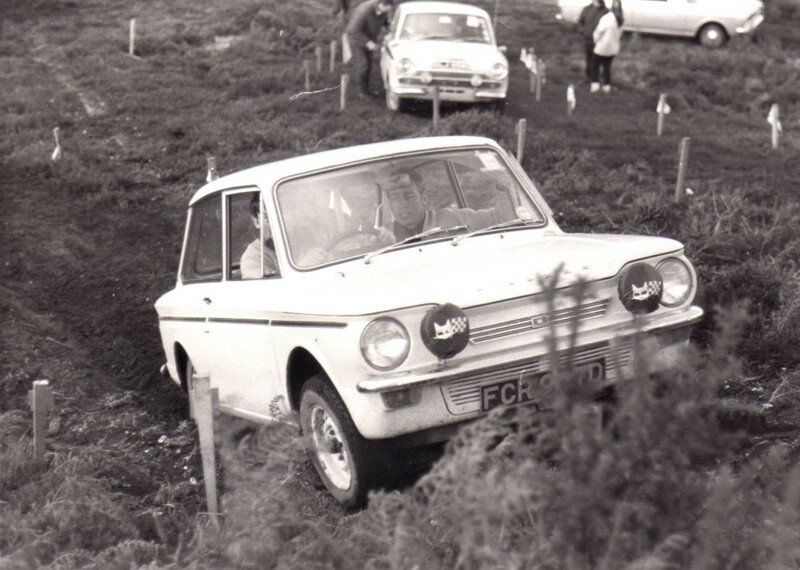 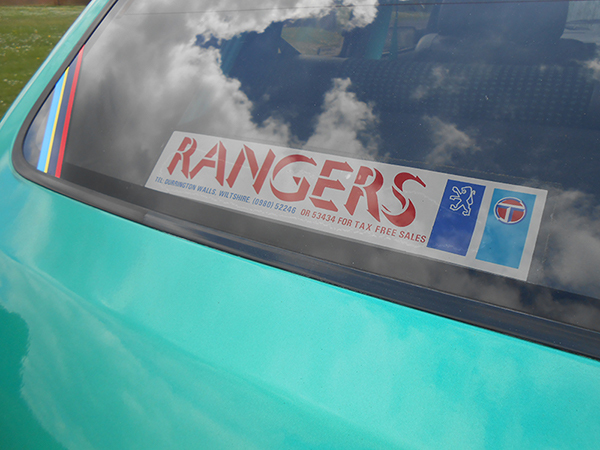 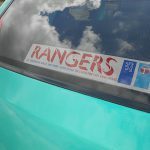 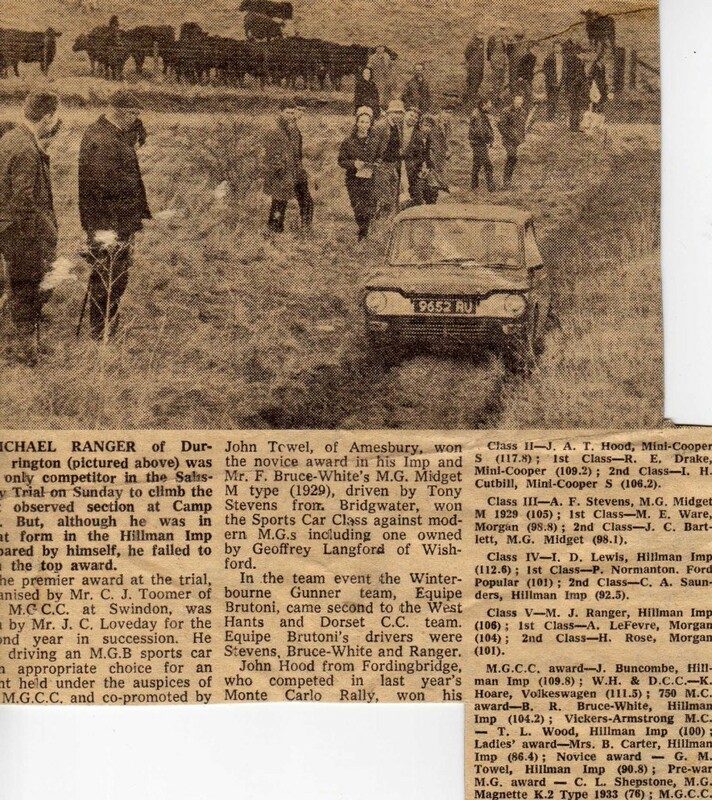 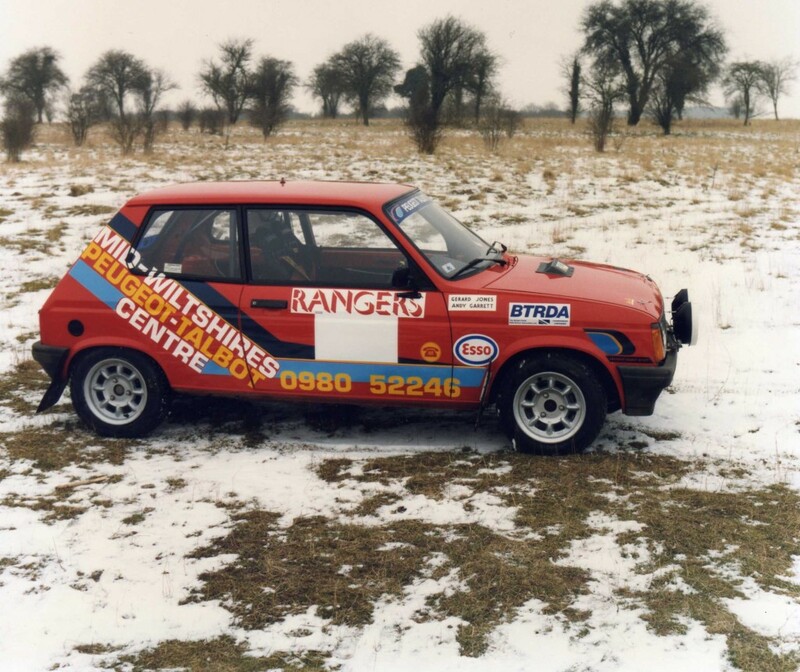 In the 1950’s our present site Rangers Corner Garage was established and various car franchise such as Rootes, Hillman, Chrysler, Talbot and Peugeot were added over the years. 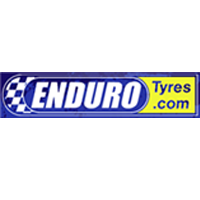 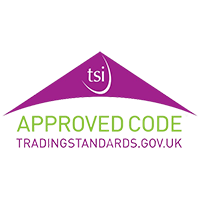 Since then we have been carrying out car servicing in Salisbury, specialising in MOT Salisbury and supplying tyres Salisbury. 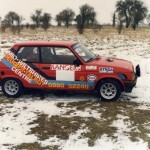 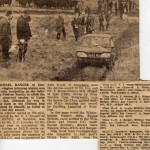 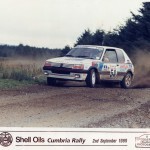 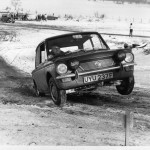 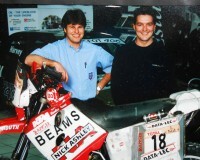 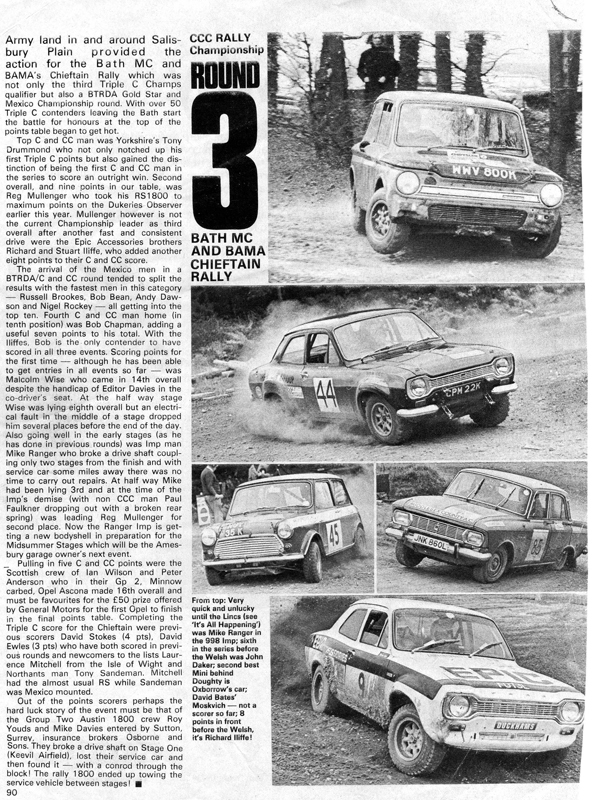 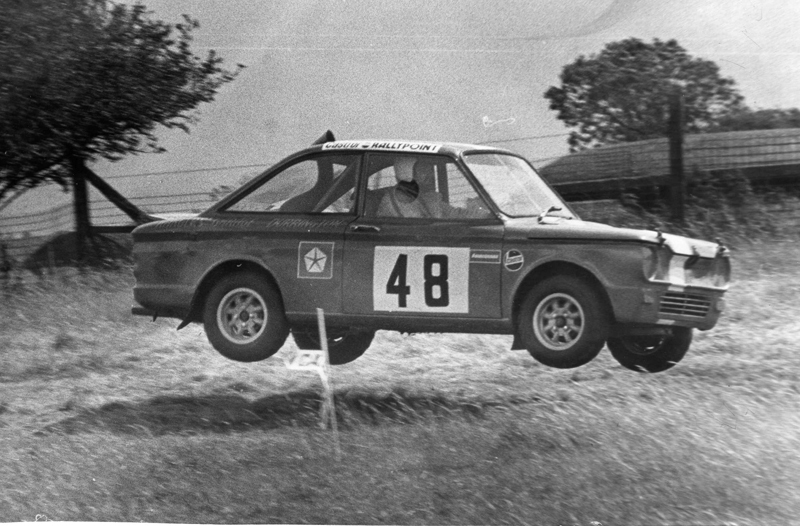 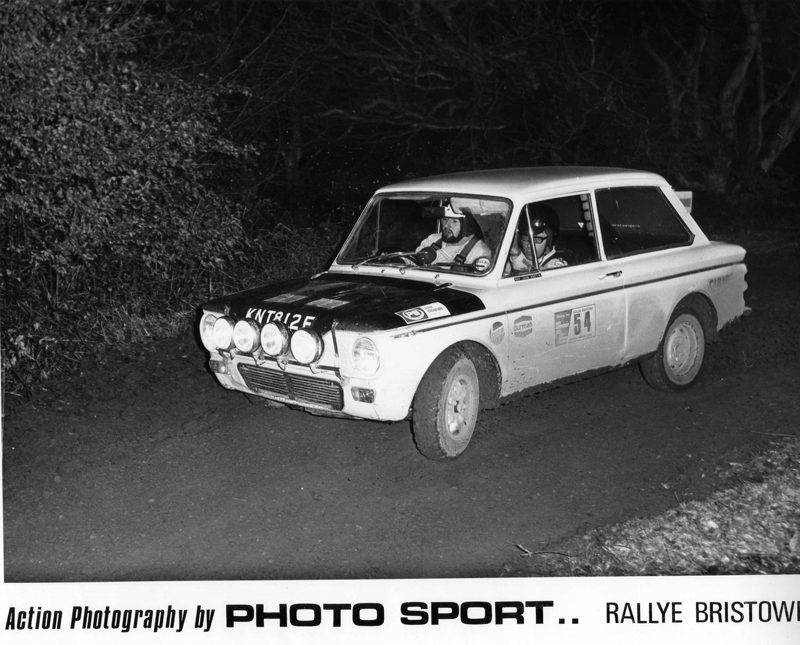 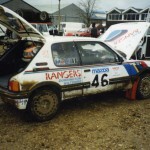 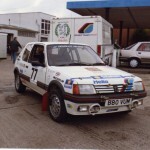 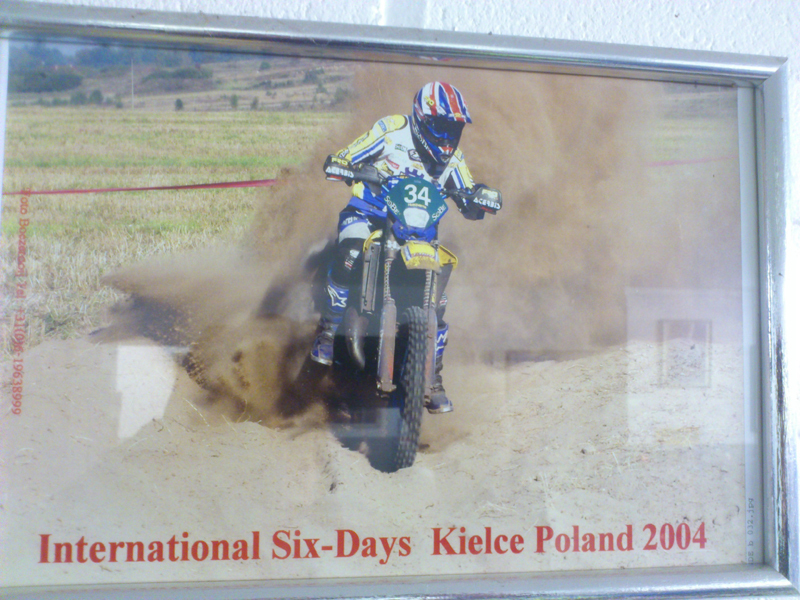 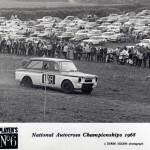 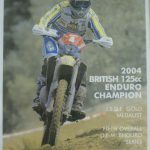 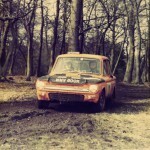 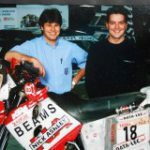 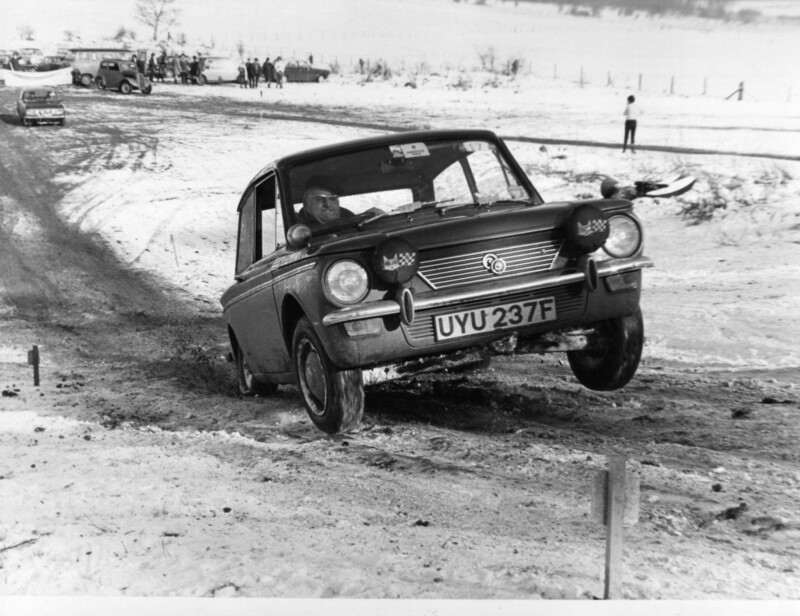 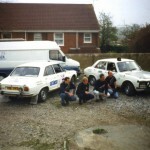 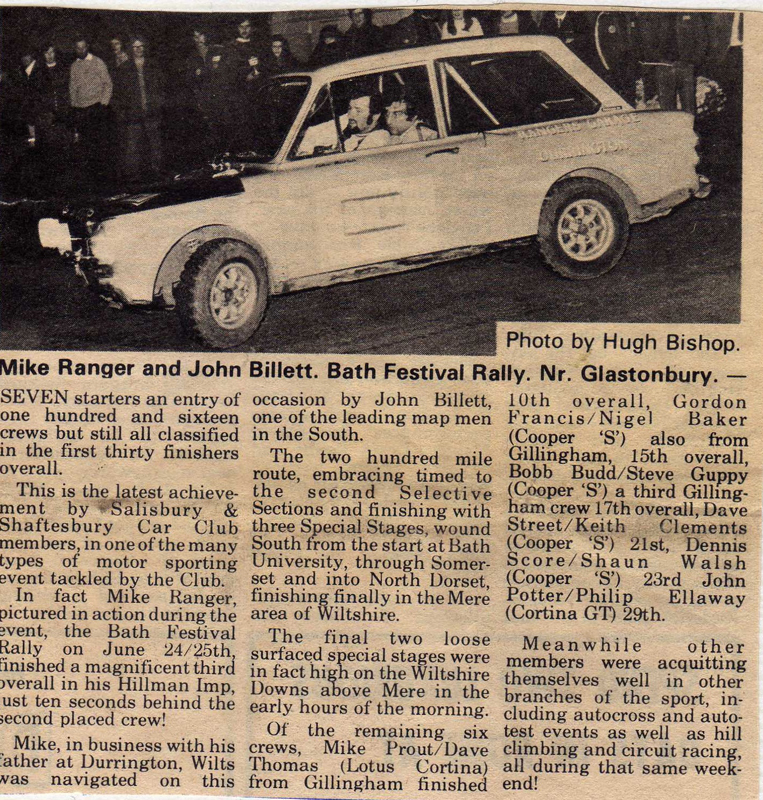 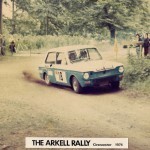 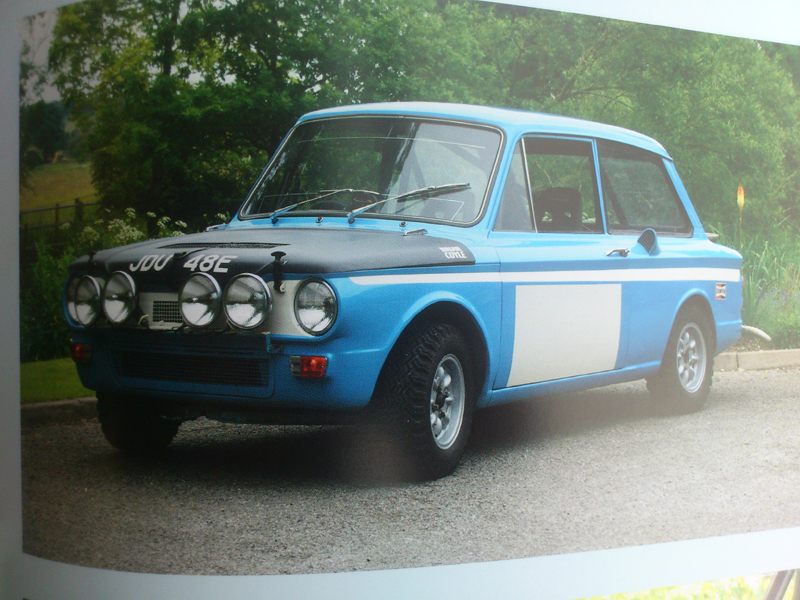 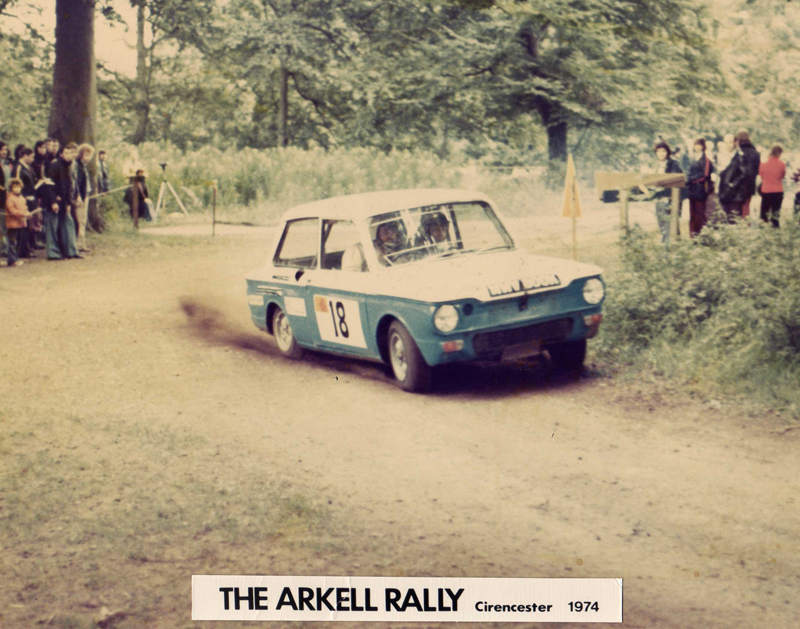 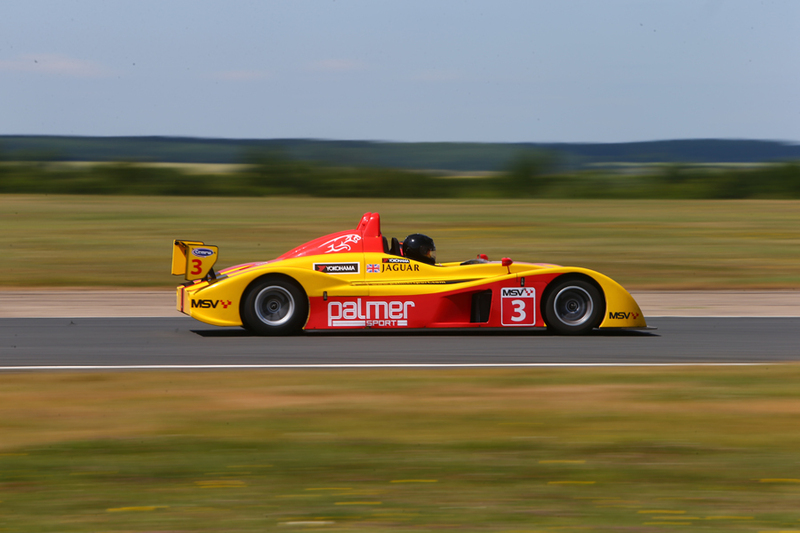 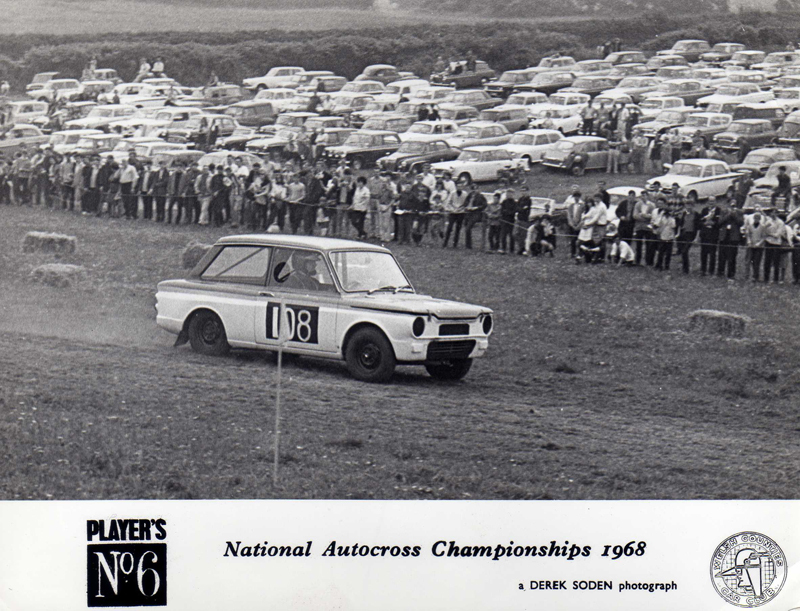 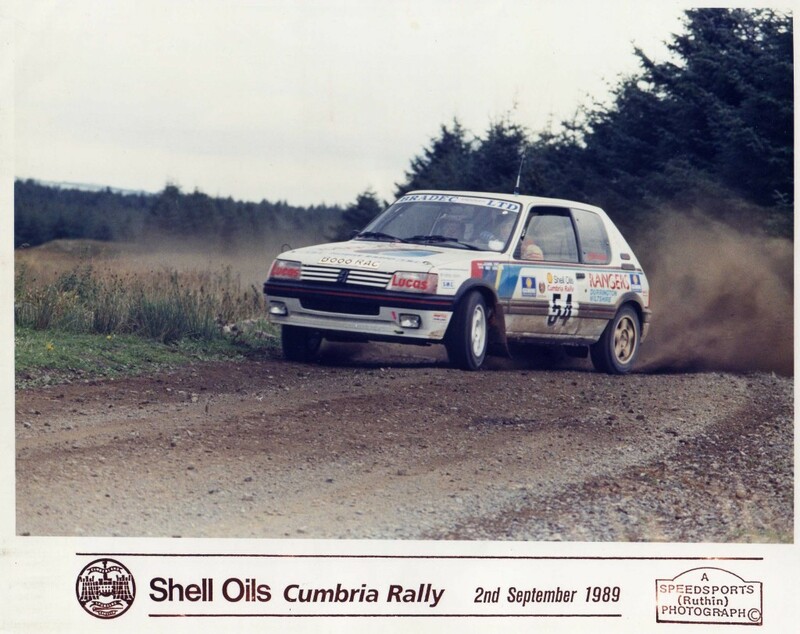 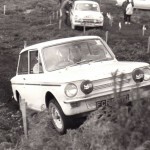 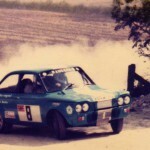 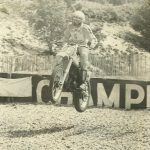 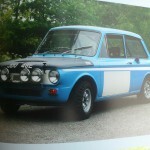 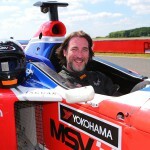 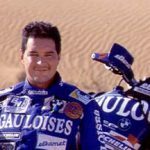 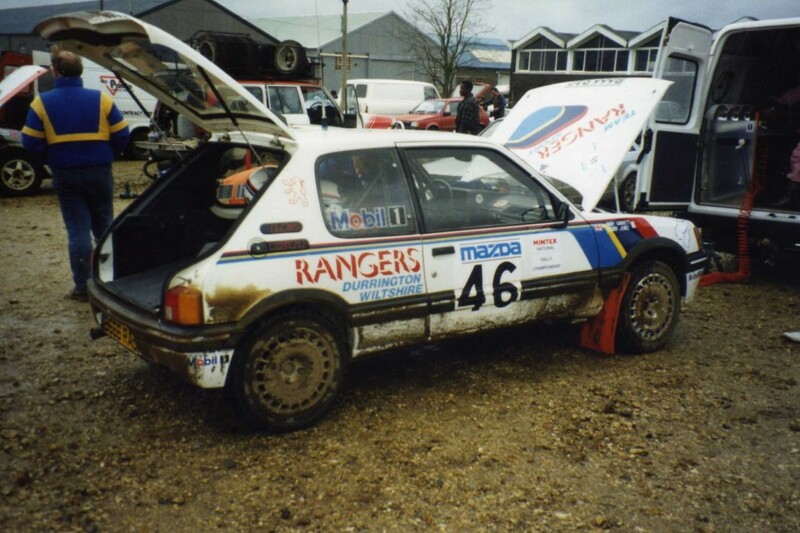 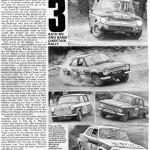 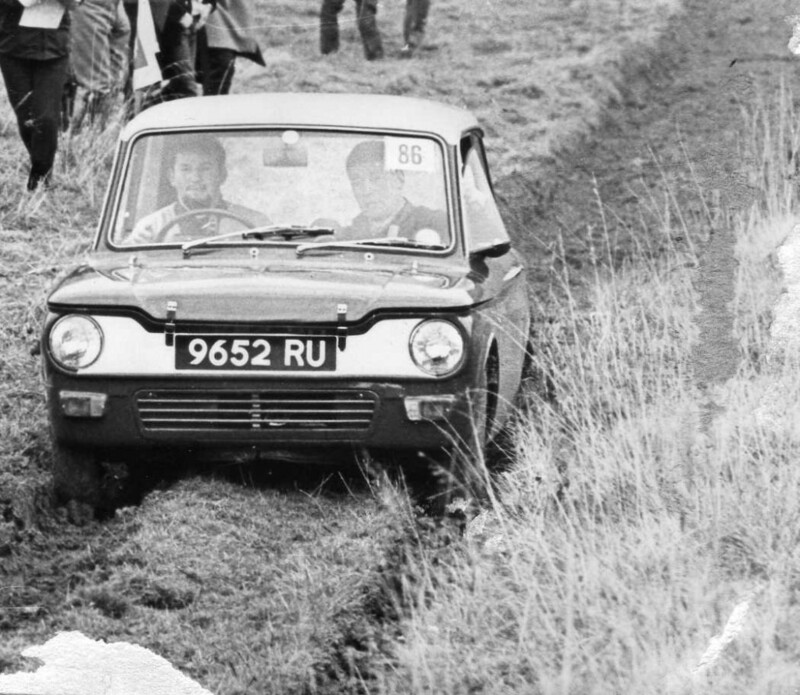 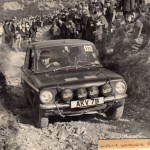 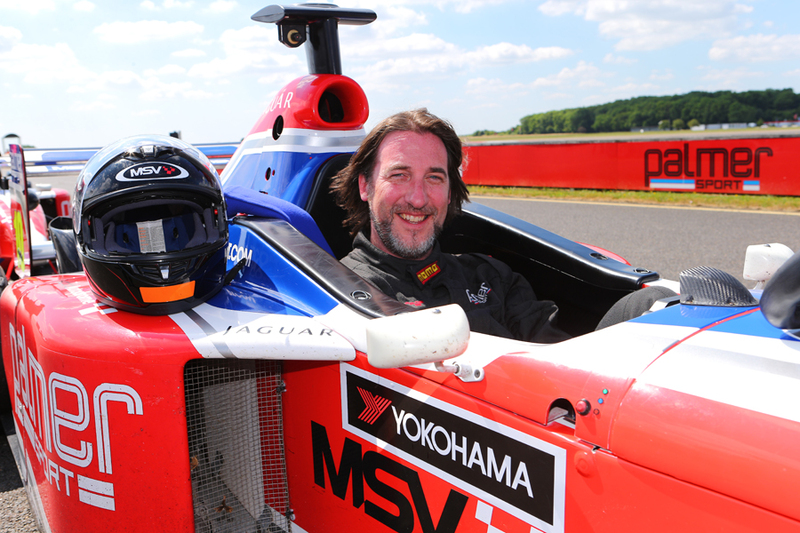 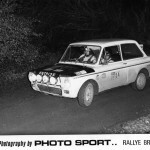 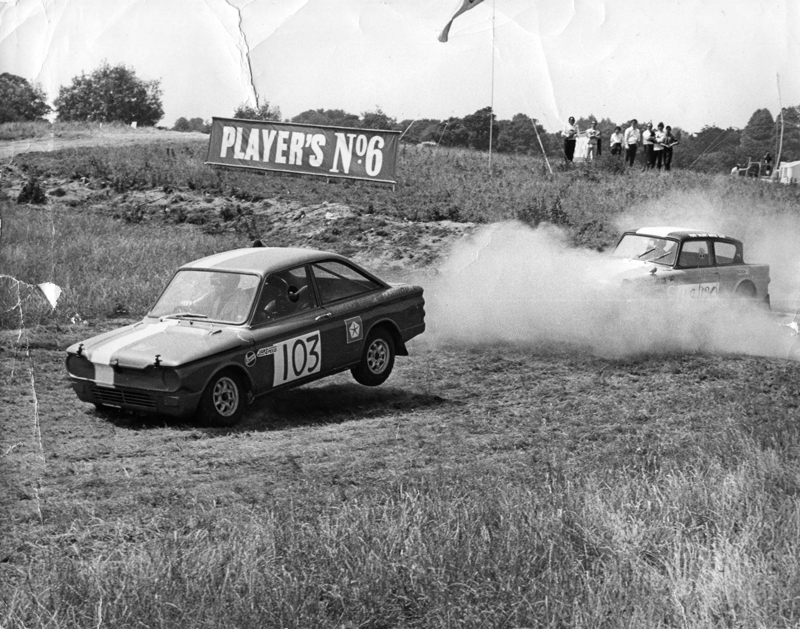 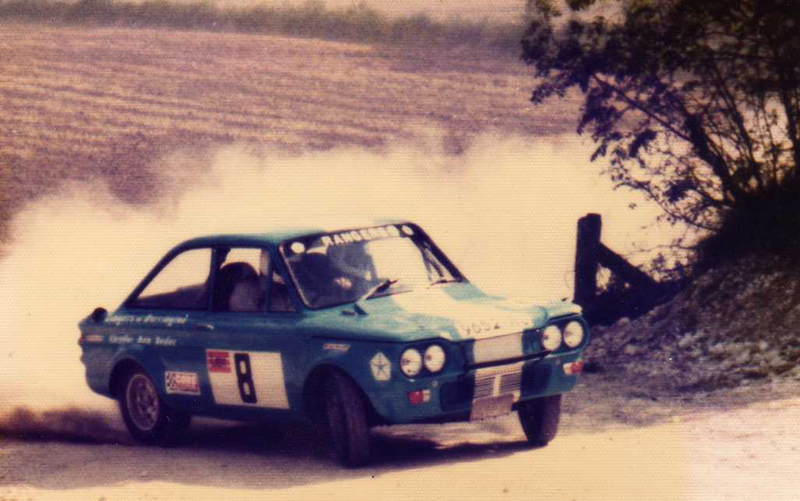 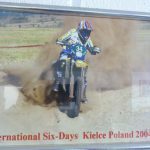 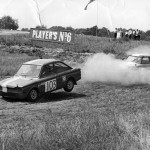 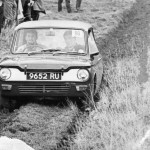 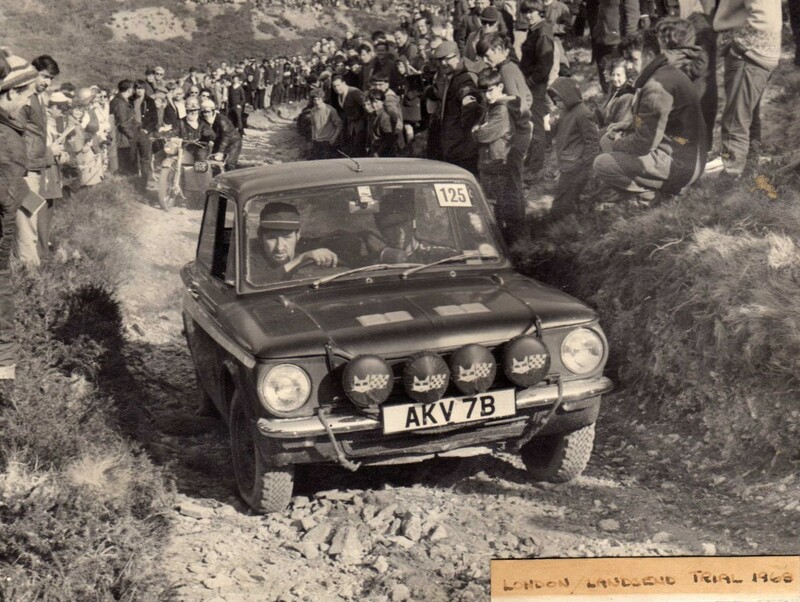 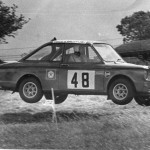 We thought we would share, some of our old photos, and our motorsport involvement in chronological order. 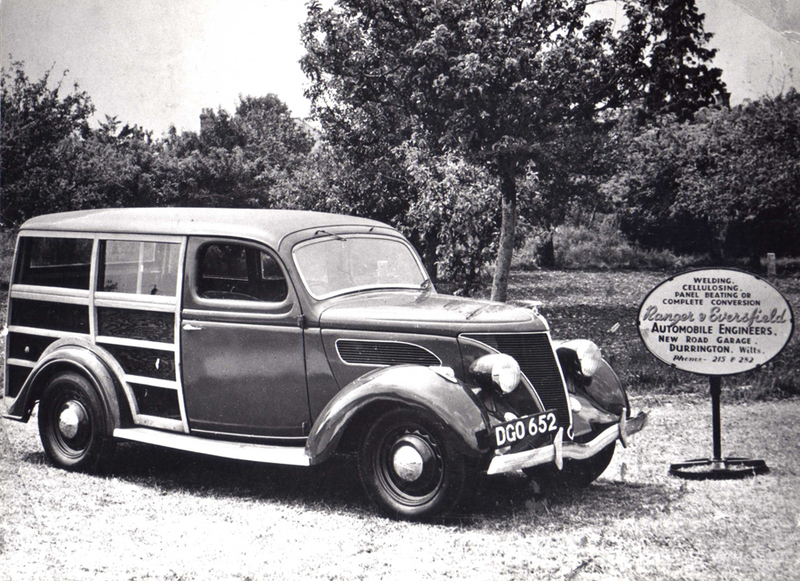 With new cars almost impossible to purchase automobile engineer Sylvan Ranger, converted ex army vehicles into “Woody” type estate cars. 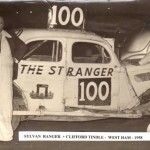 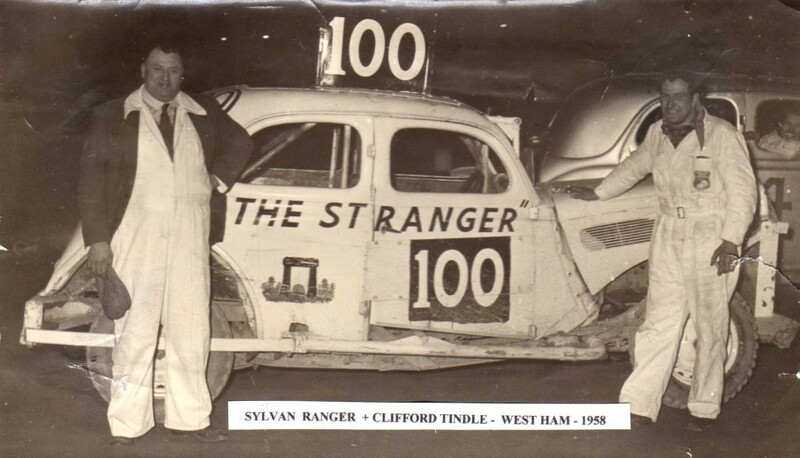 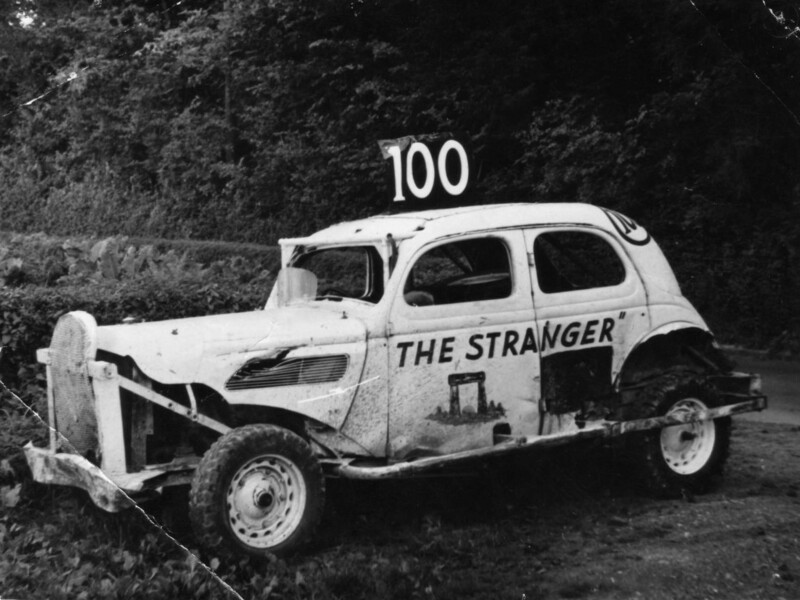 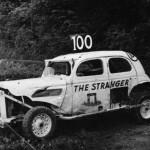 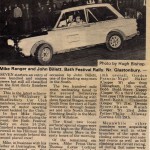 For racing he built the “Stranger” Stonehenge/Ranger stock car and raced all over the UK at venues such as Matchams Park near Ringwood. 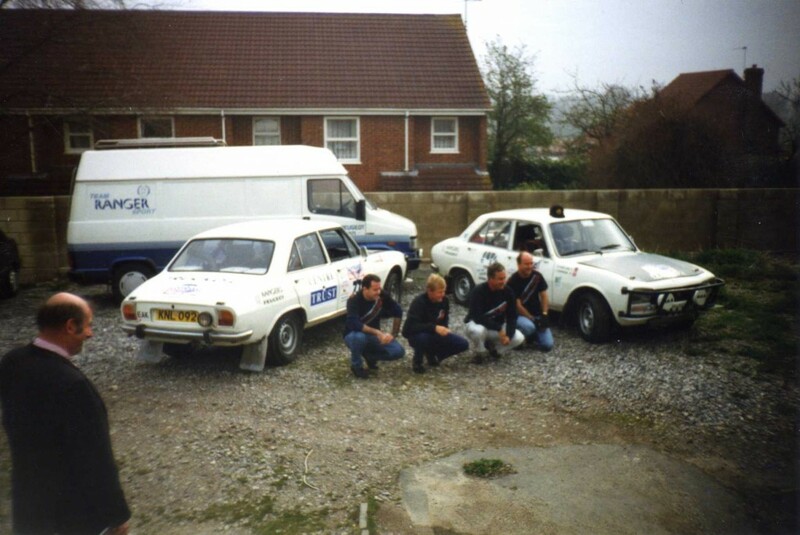 Our present Garage, back in the early days. 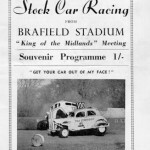 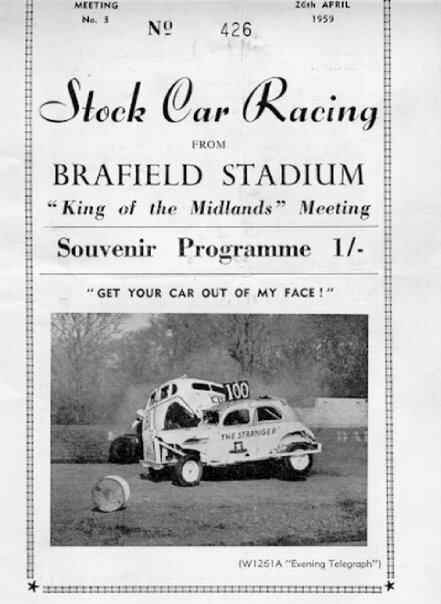 Click here, for some of our Old Stock car Cine film , Brafield International, Matchams Park, and Pewsey carnival race. 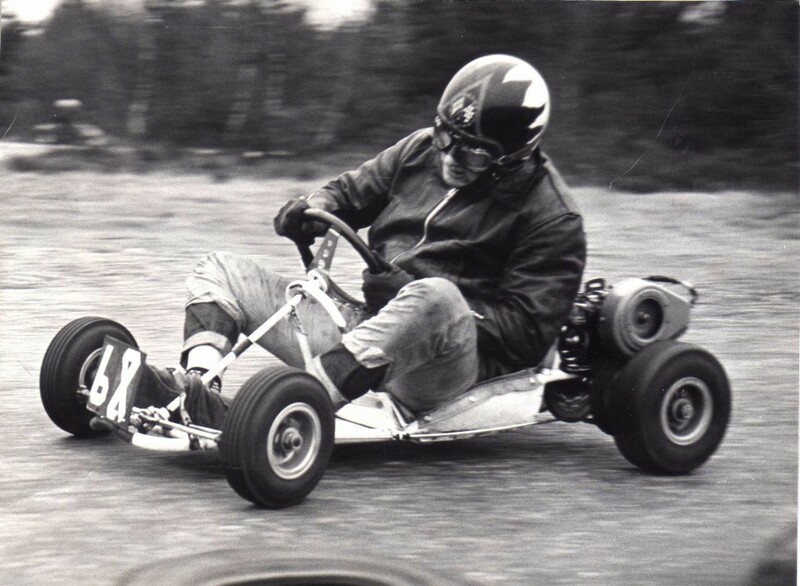 A forward thinking Sylvan Ranger purchased a number of new “Go-Karts” he trailered these to various local army camps and set up makeshift race tracks with in the barracks. 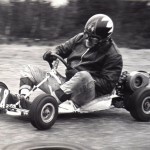 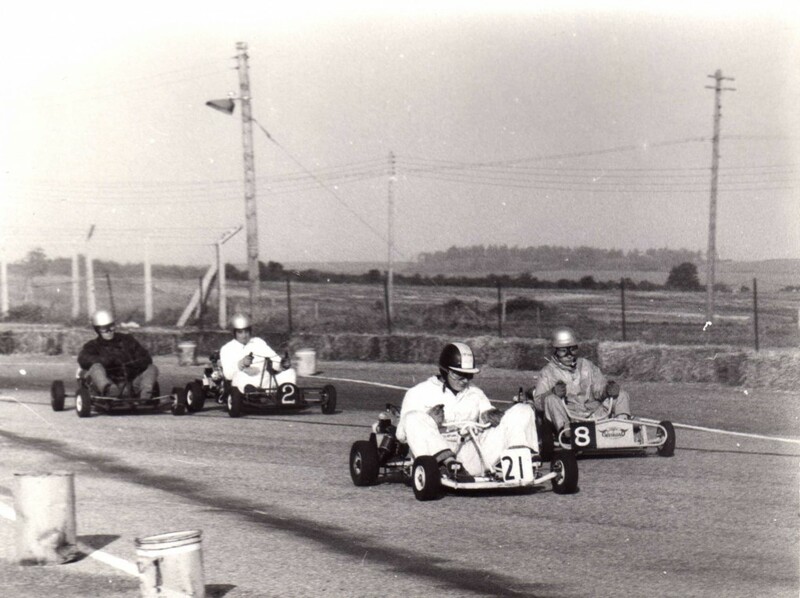 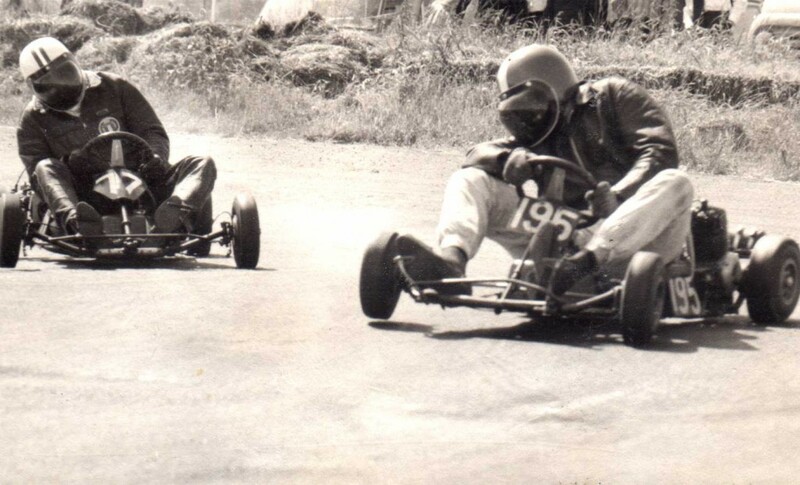 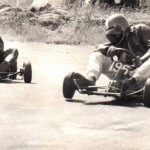 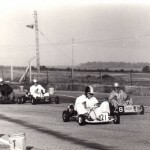 These karts were an instant success with local soldiers and civilians a like. 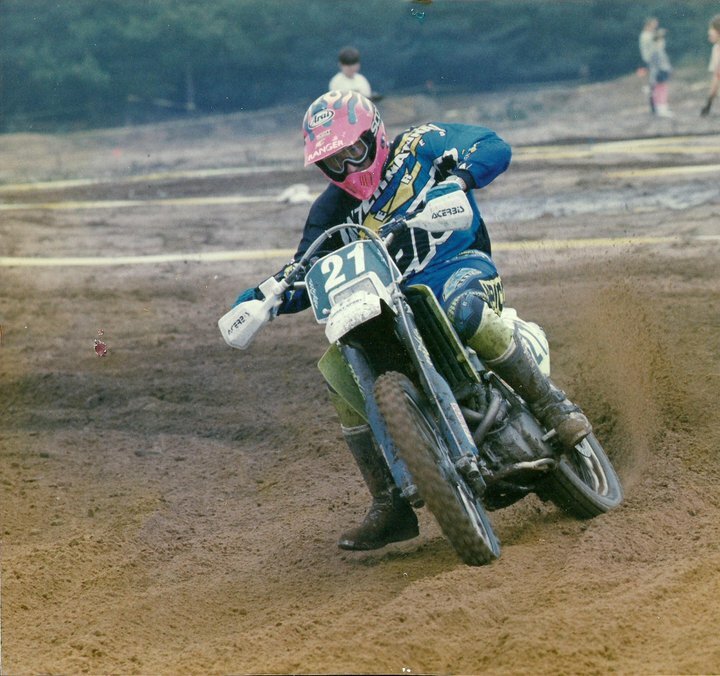 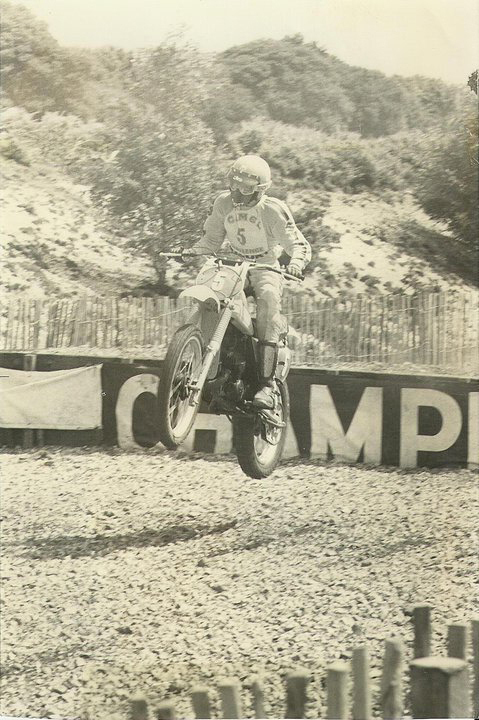 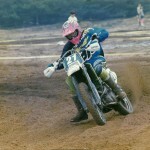 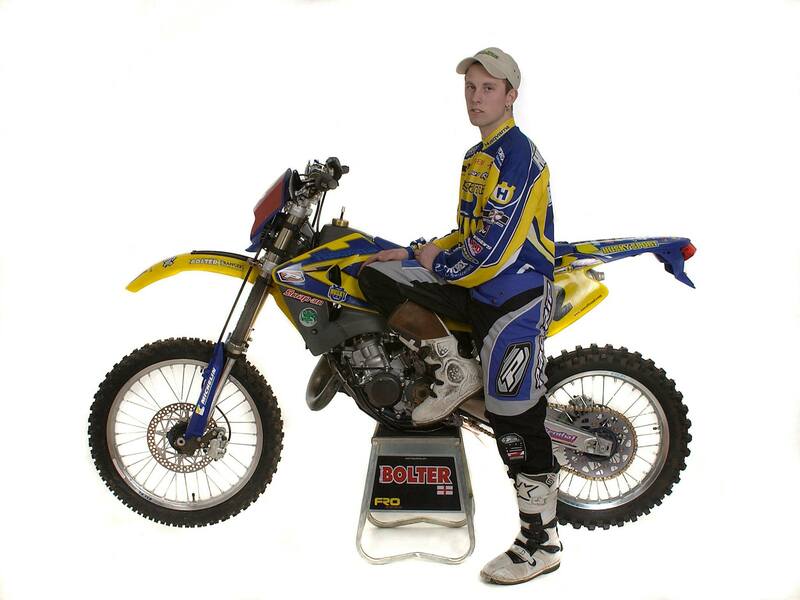 Alan Ranger Starts racing with the Ringwood Schoolboy Scramble Club on a Suzuki RM80. 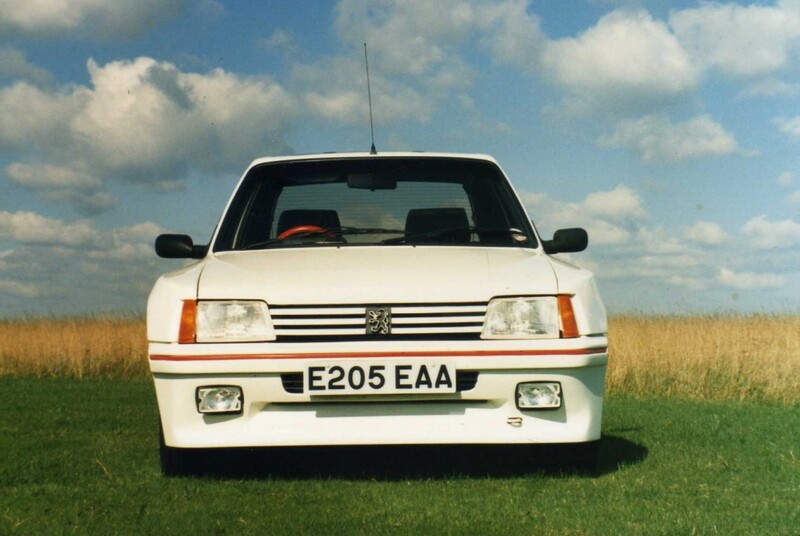 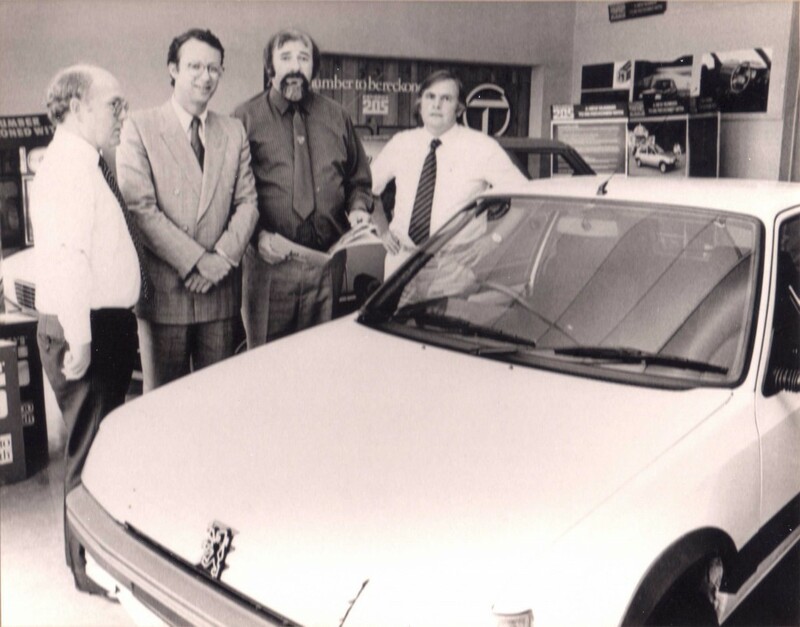 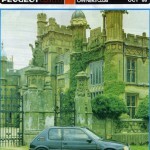 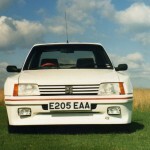 We were a successful Peugeot dealer during the time of the Launch of the 205, and we sold a huge amount during its 10 year production cycle. 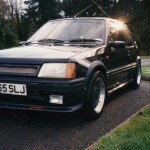 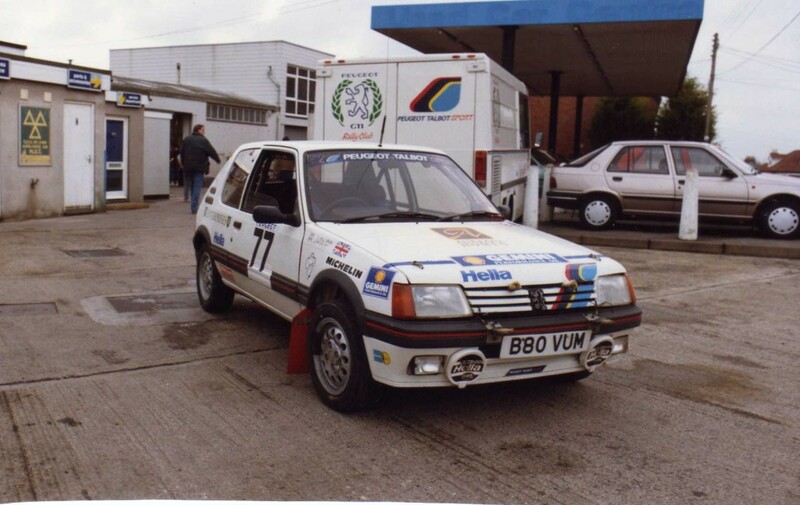 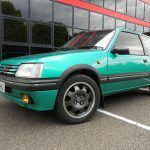 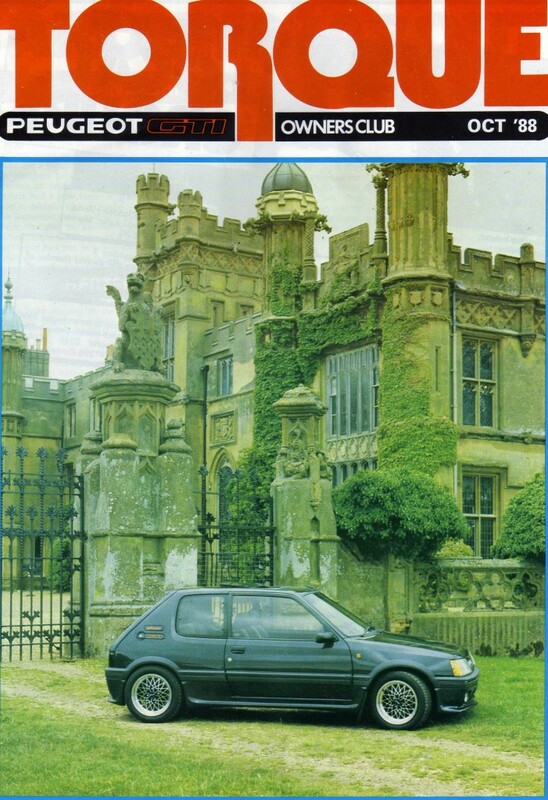 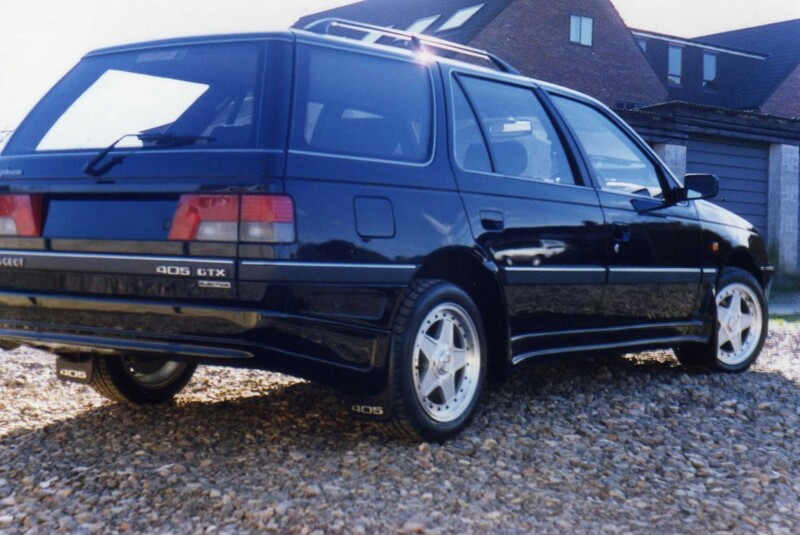 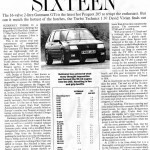 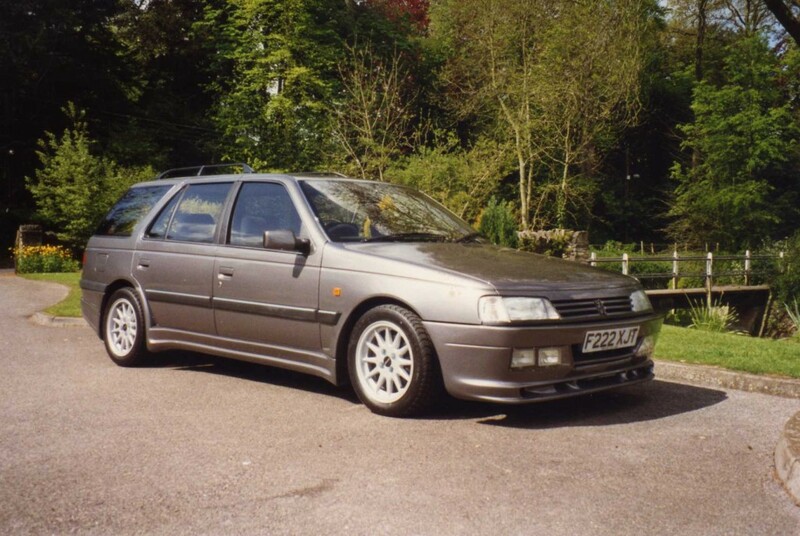 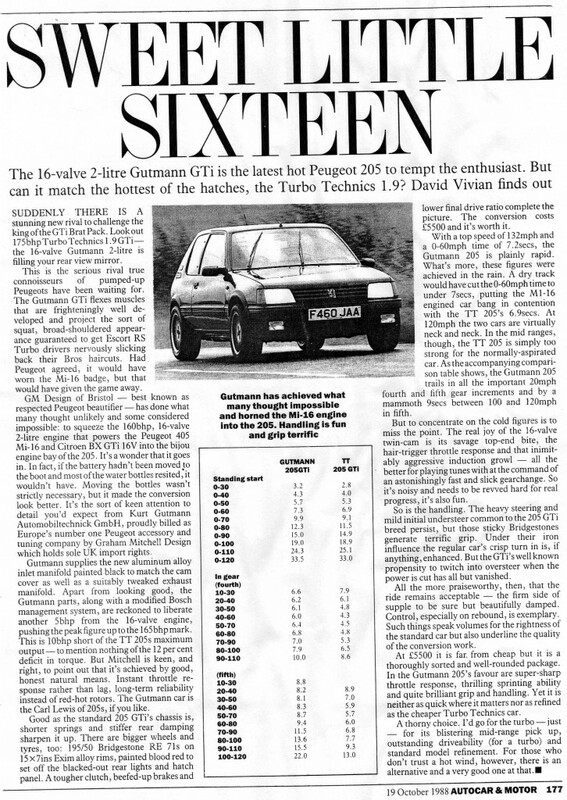 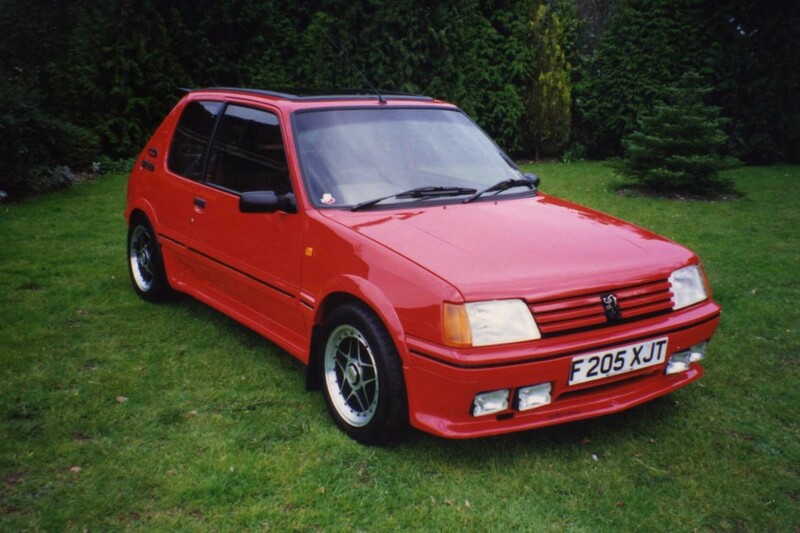 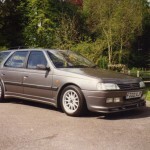 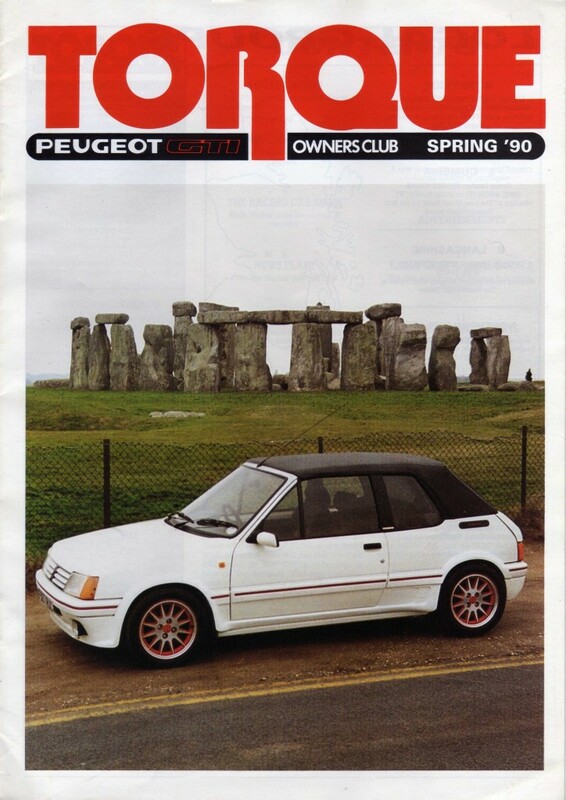 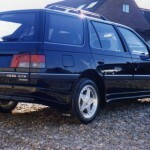 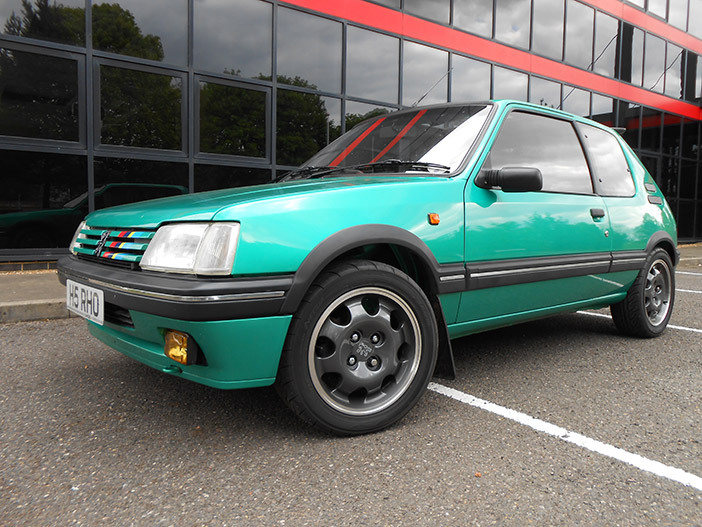 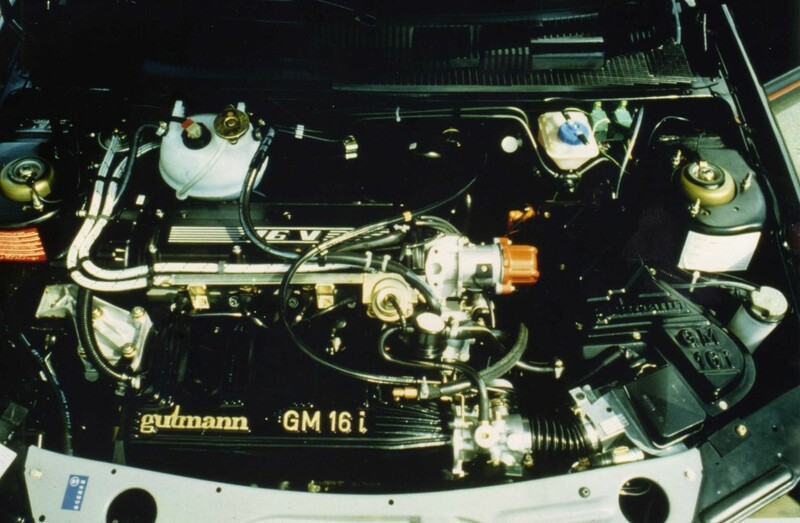 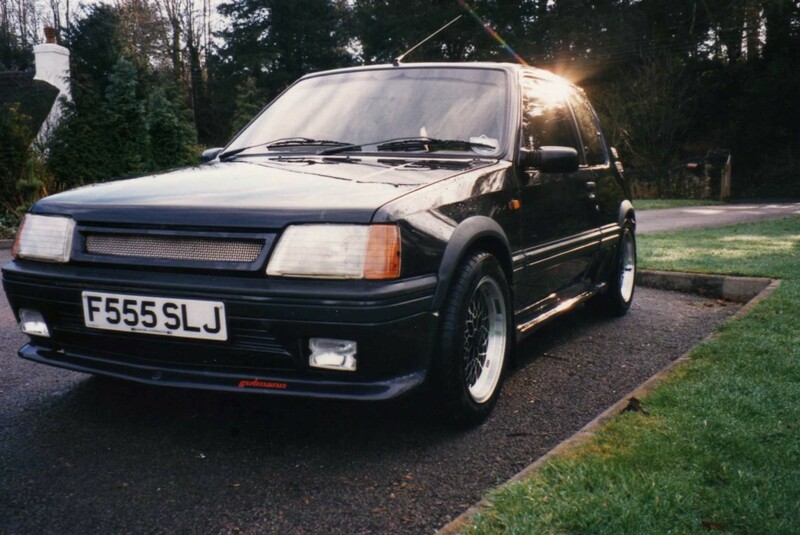 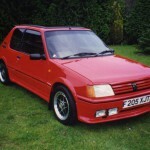 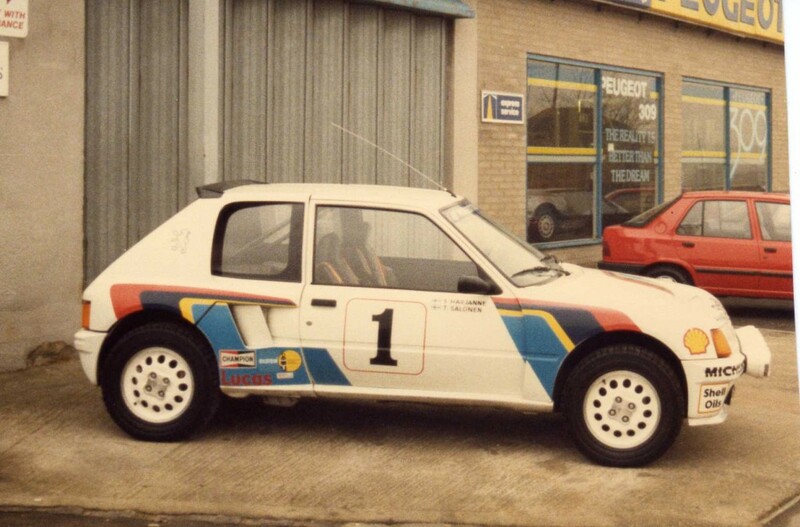 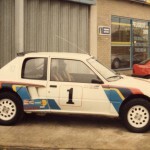 As the 205 GTi is now viewed with iconic status, we thought we would share with you some photographs of cars we prepared back in the day. 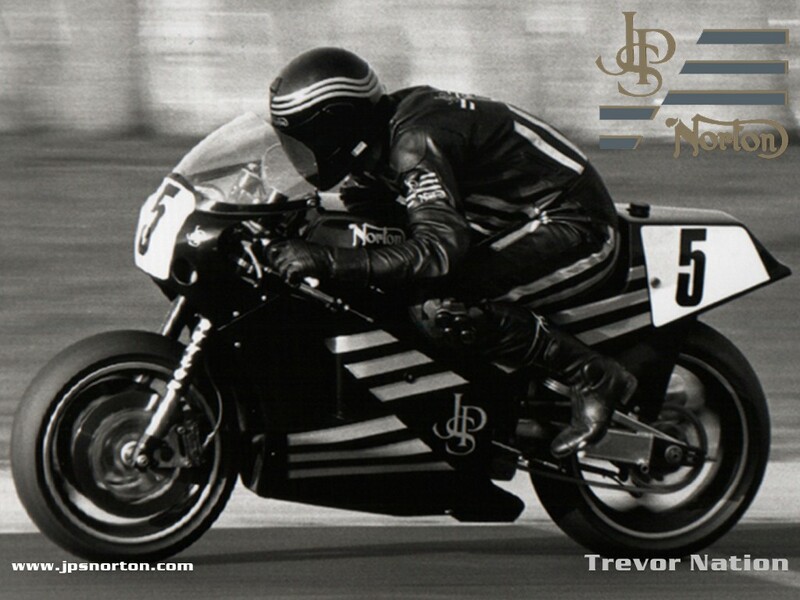 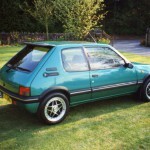 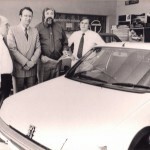 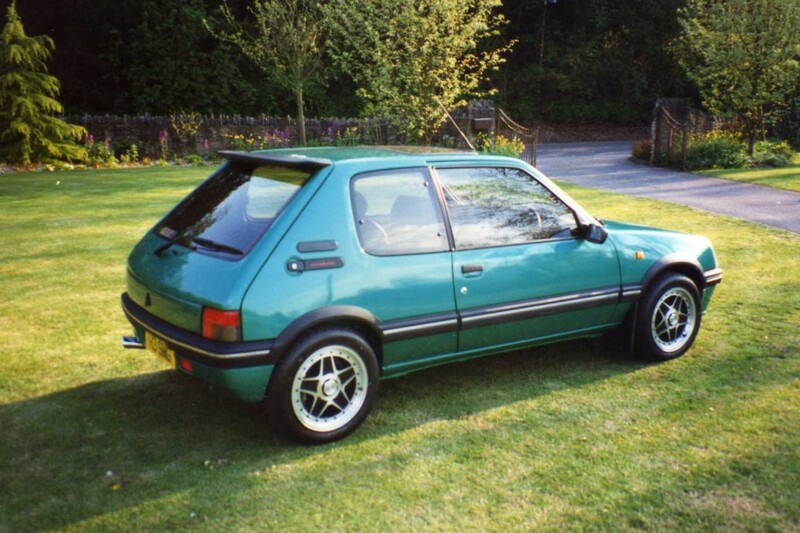 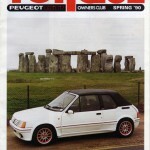 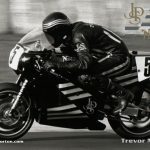 We loaned Trevor a new 205 Gti Road car, during his successful period competing on the JPS Norton Superbike. 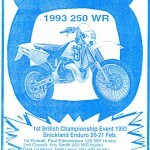 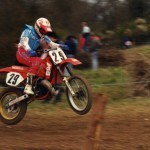 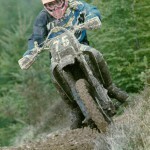 Including: 1989 Alan Ranger Honda CR 250 Adult Expert MX. 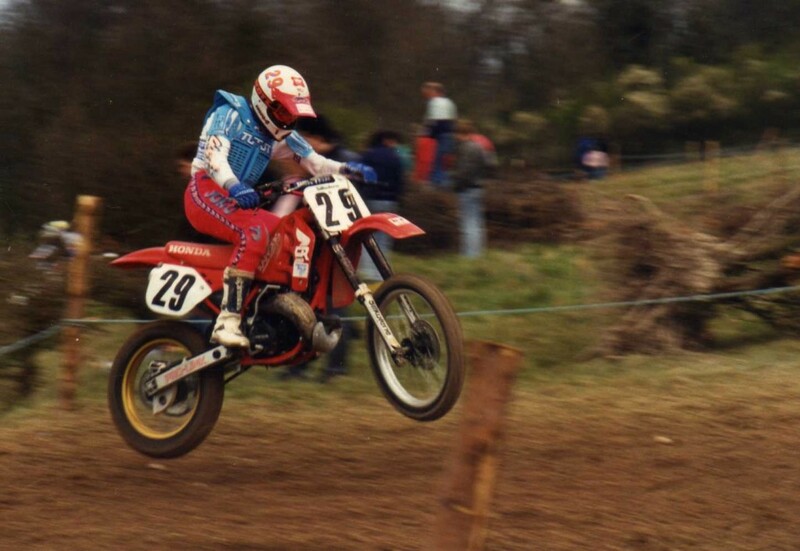 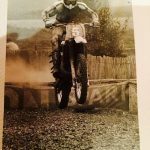 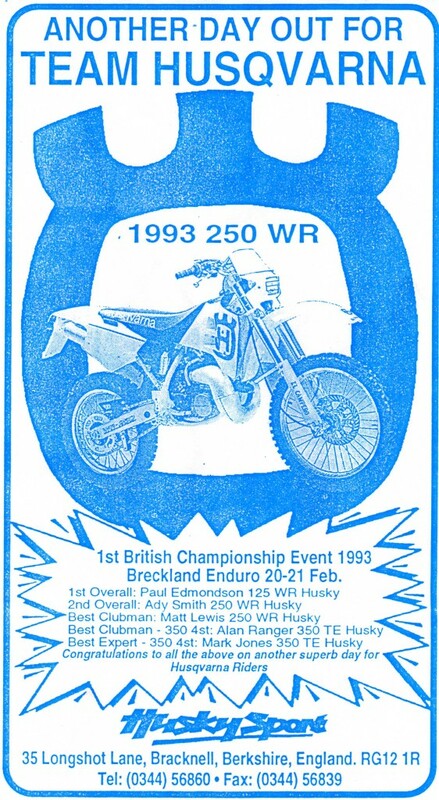 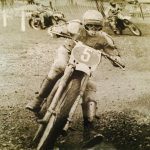 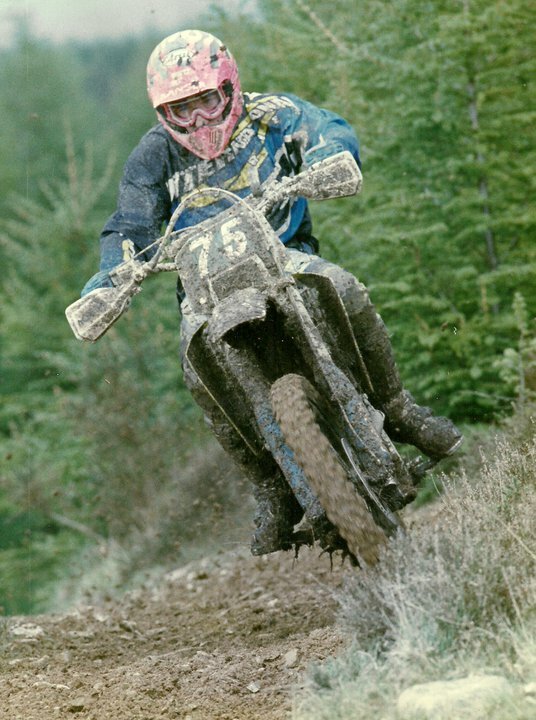 1993 After a Break from MX, Alan tried Enduro and finished season ACU Clubman Four stroke British Champion on Board a Husky Sport TE 350. 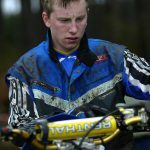 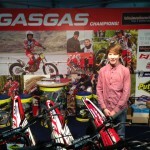 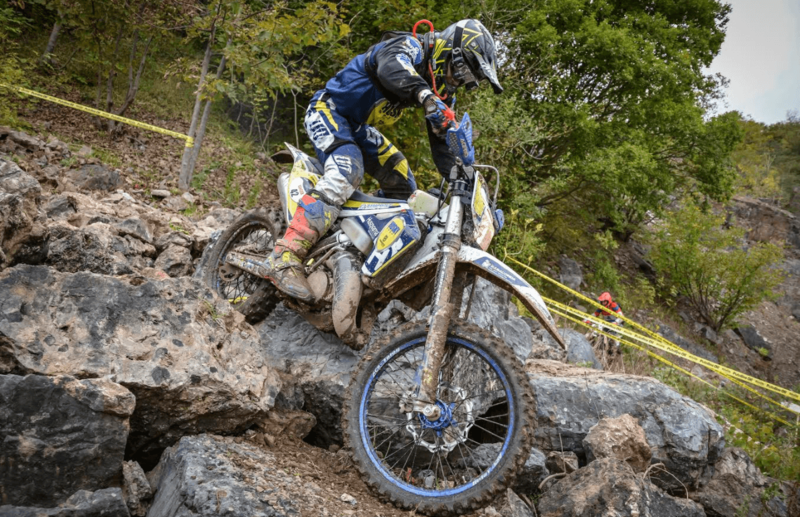 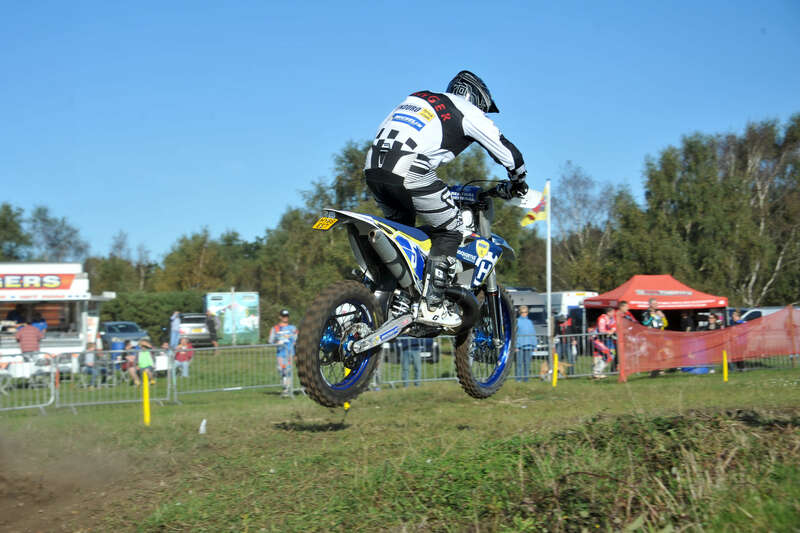 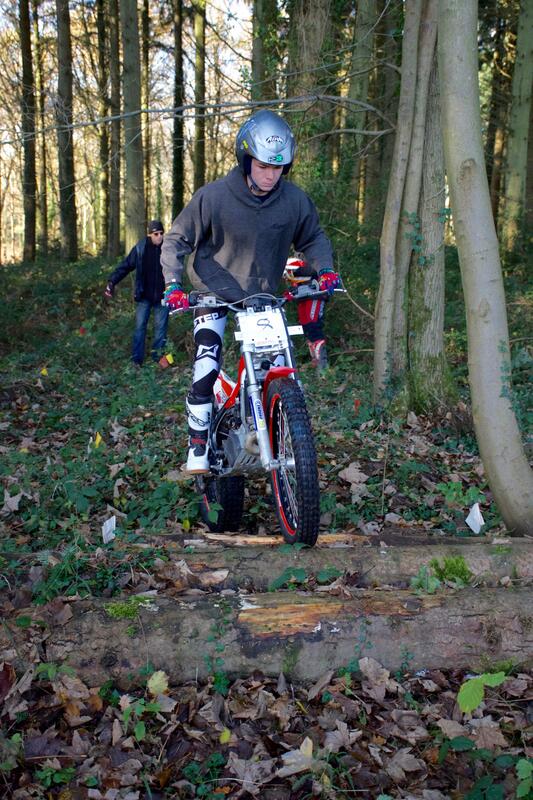 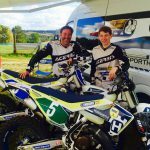 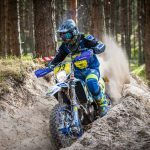 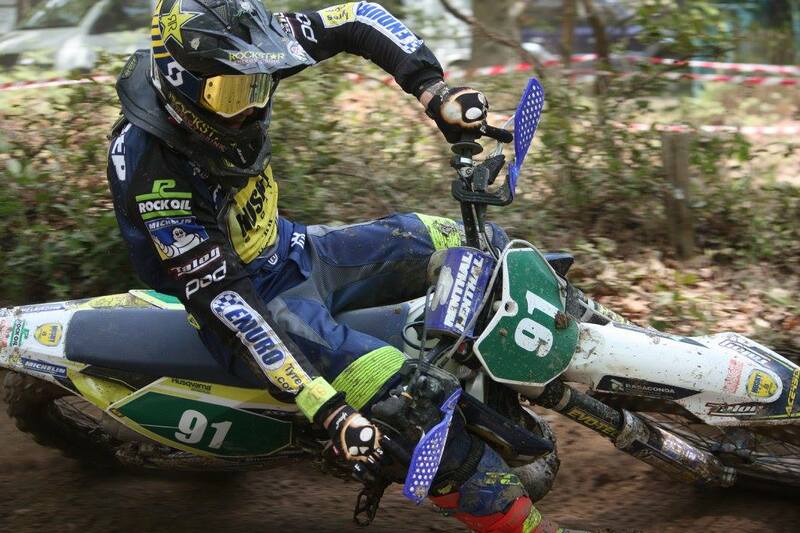 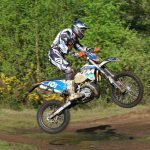 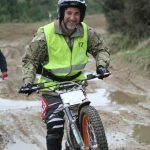 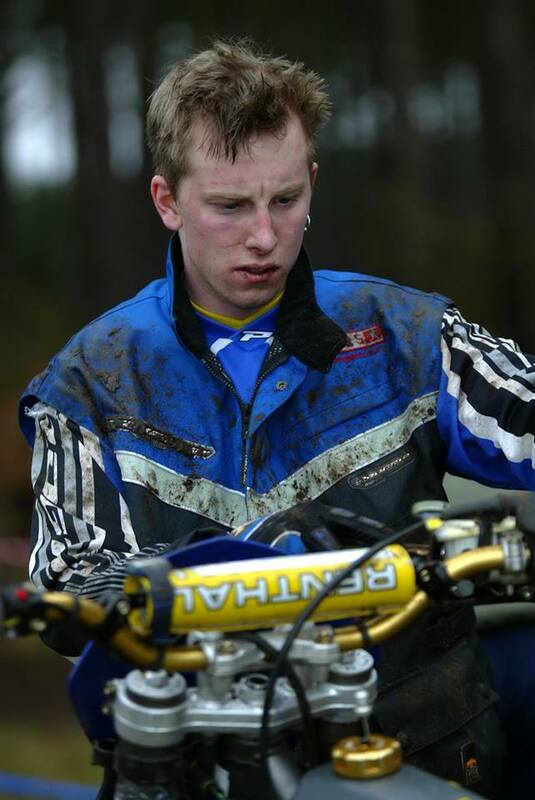 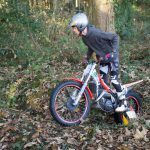 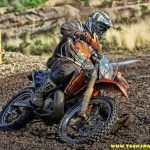 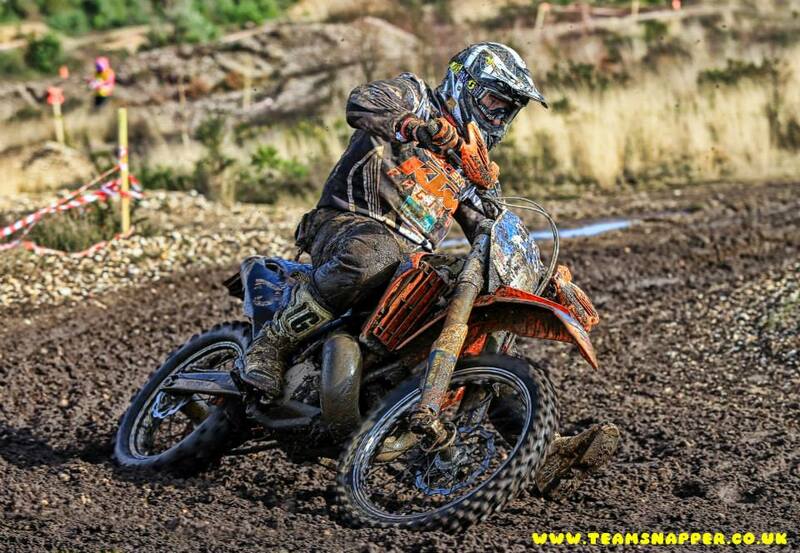 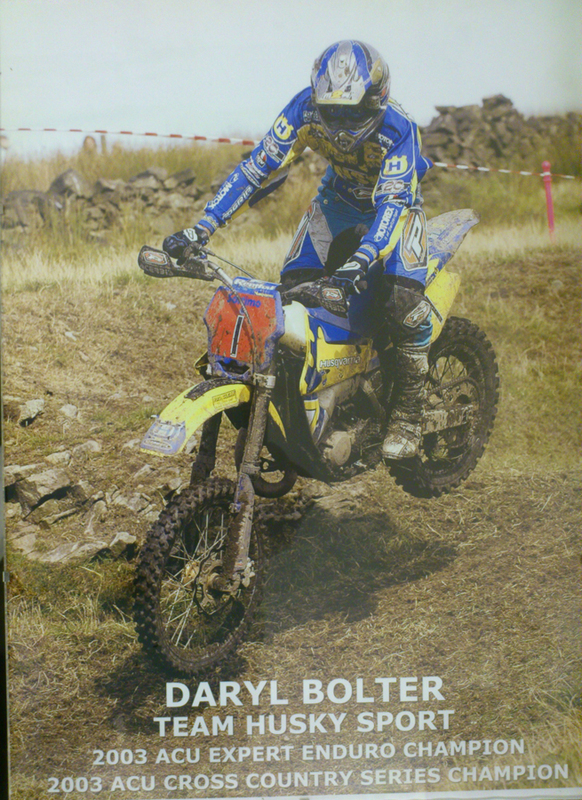 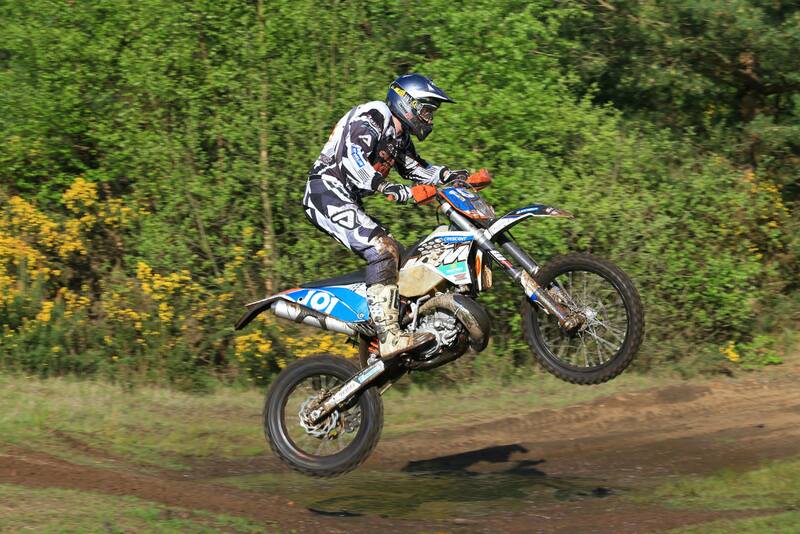 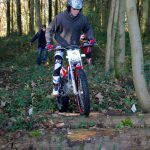 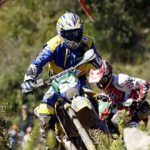 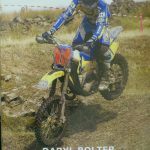 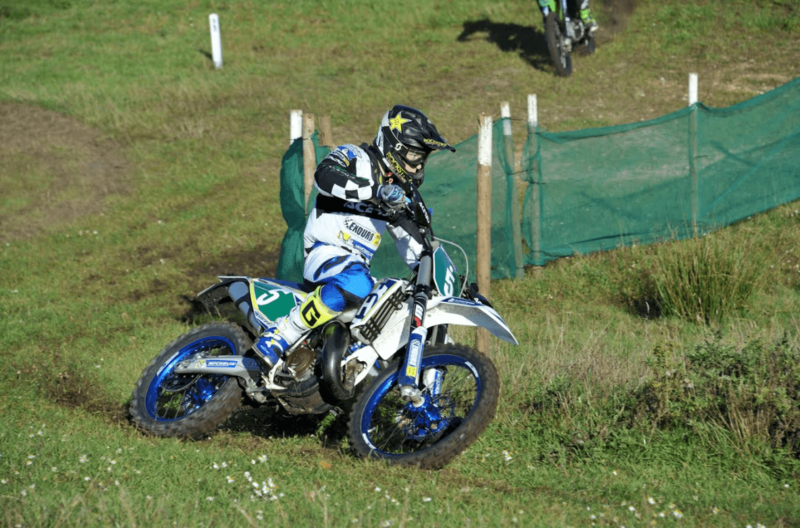 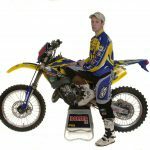 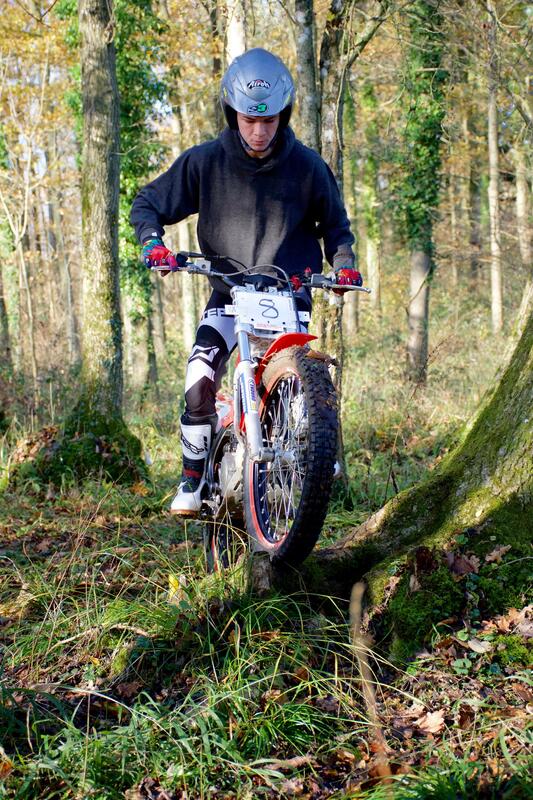 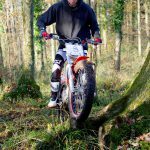 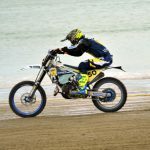 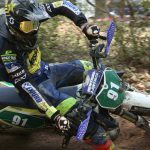 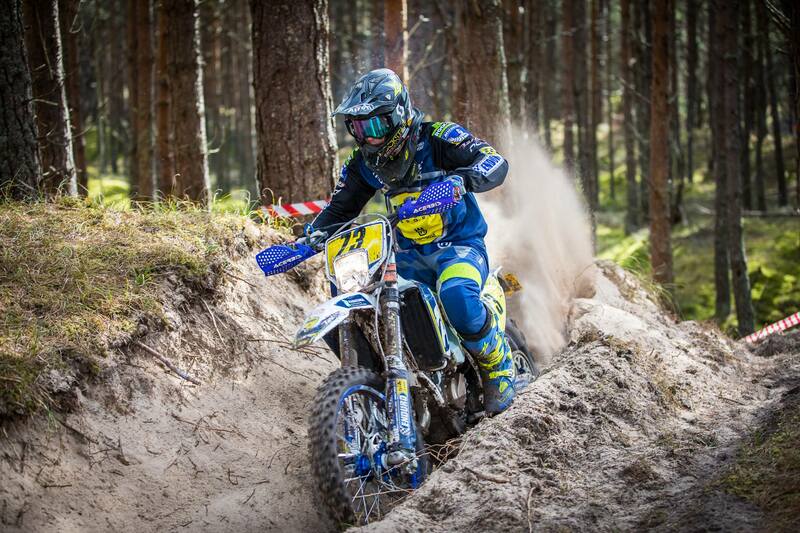 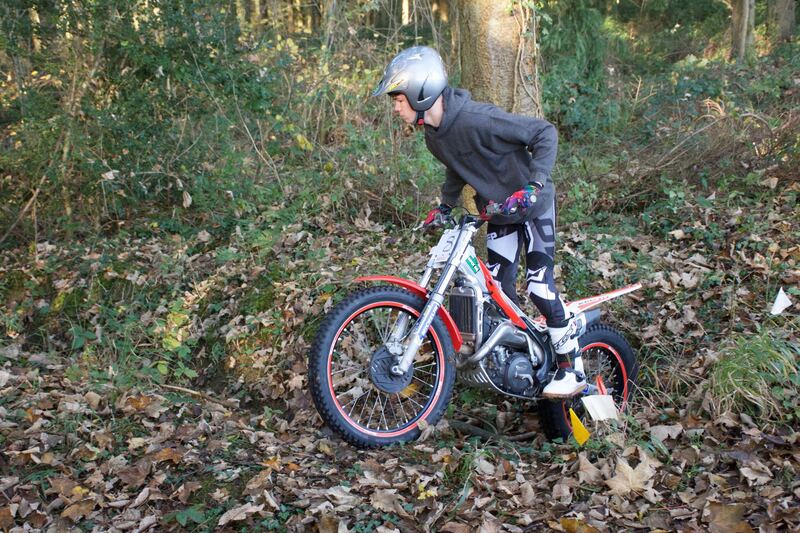 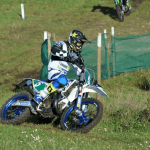 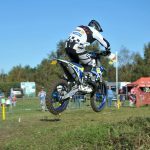 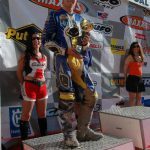 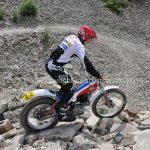 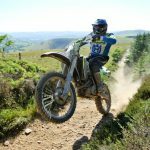 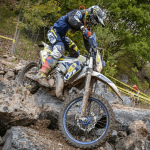 We approached a local 15 year old Moto-X Rider Daryl Bolter and suggested he tried his hand in Enduro. 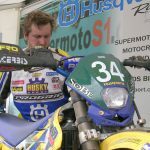 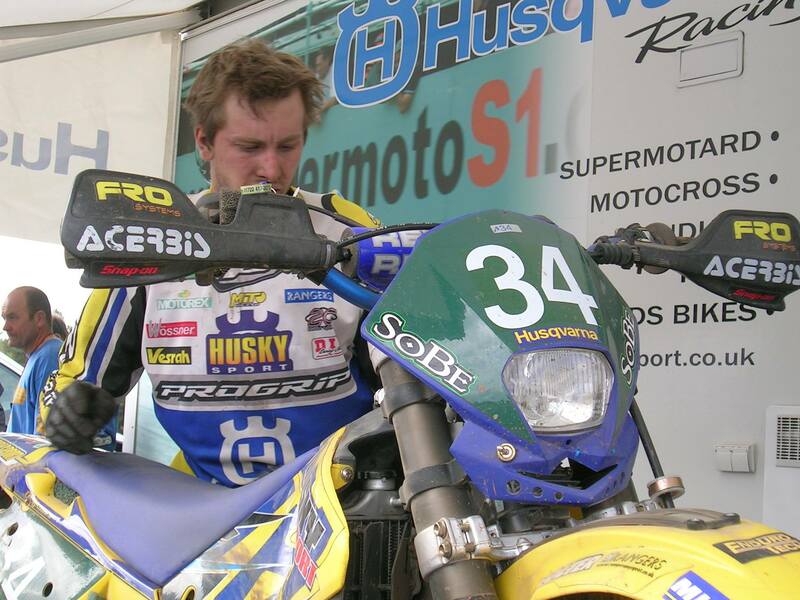 With a previous good relationships with the then Husqvarna Importer Mike Carter at Husky Sport we purchased a Husqvarna WR, and new race truck. 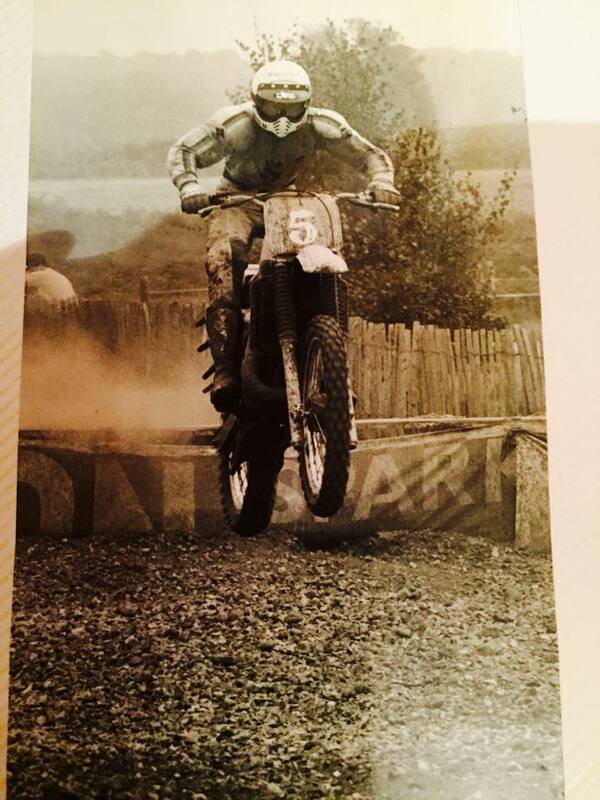 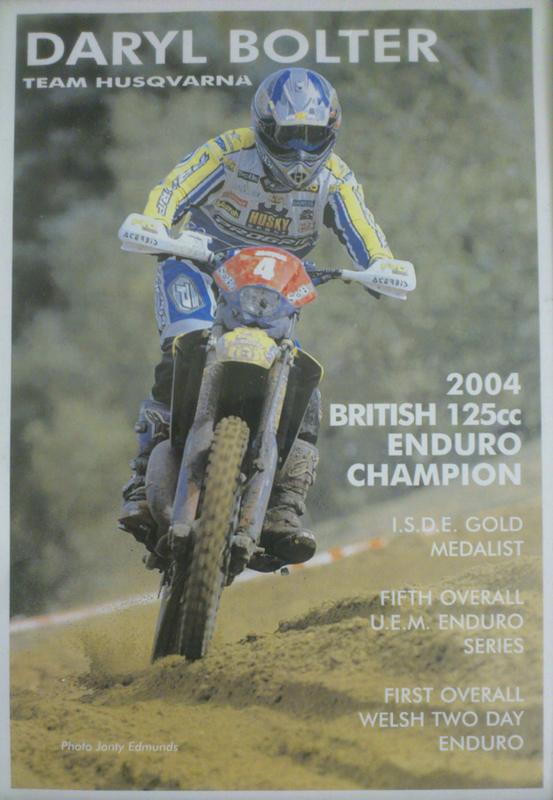 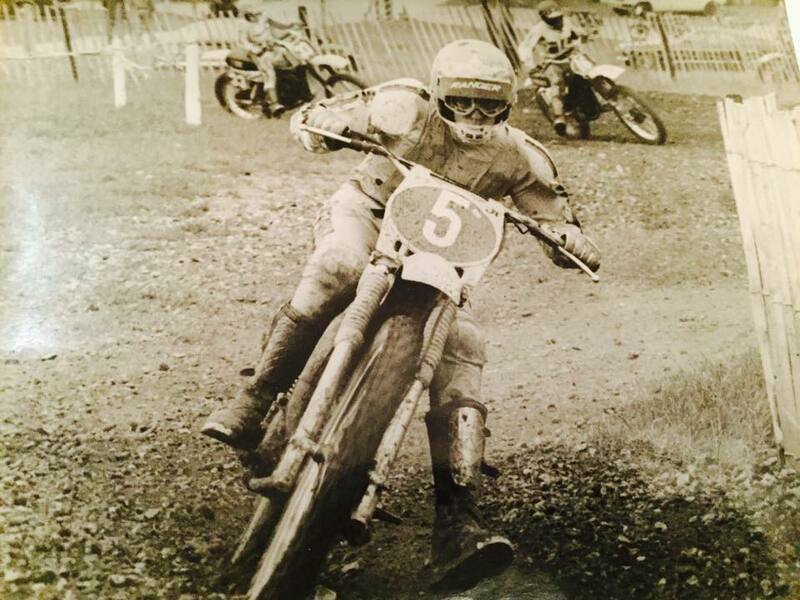 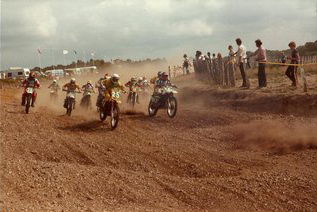 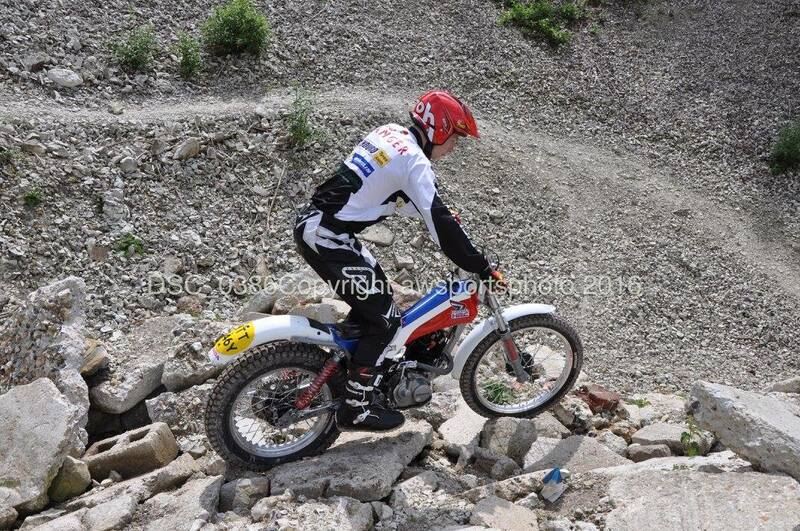 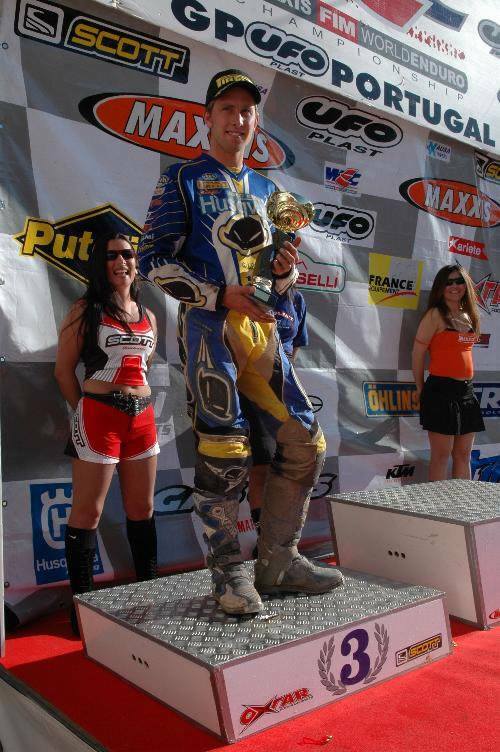 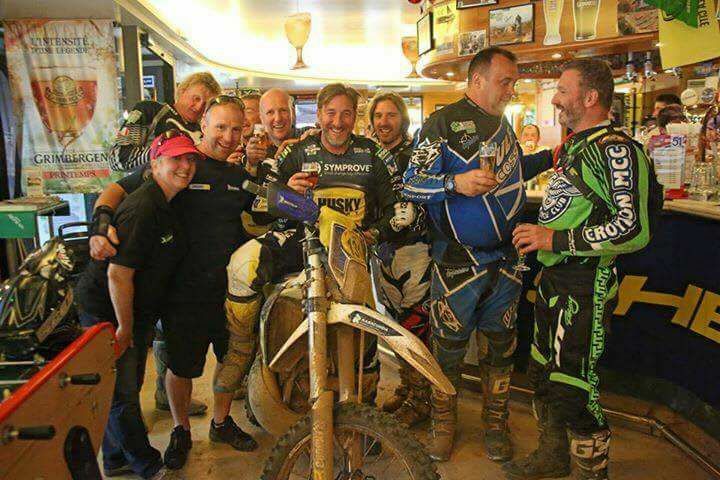 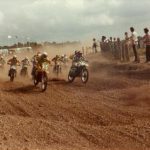 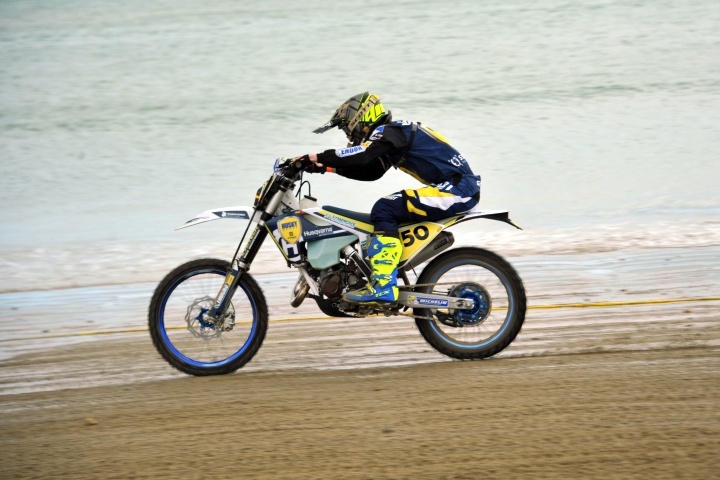 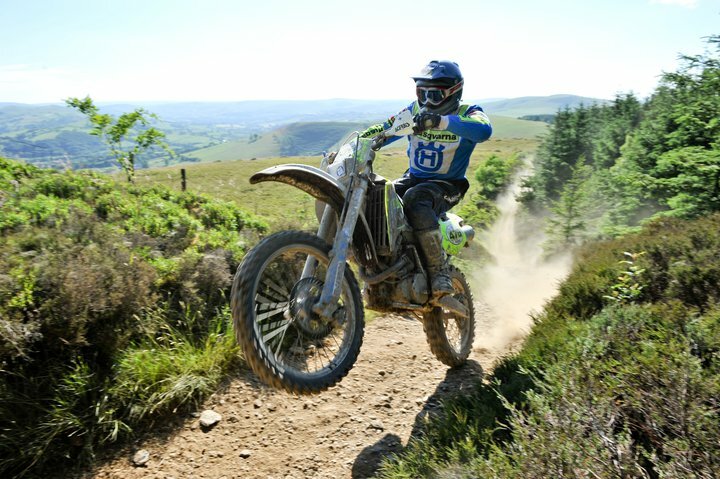 The next eight years were hugely successful for Daryl on the ultra reliable little Husky, rising through the ranks and notable victories included ACU Clubman, Expert, British 125, European Junior Champion, Senior European E1, Third in Junior WEC, GBXC Pro Lites overall, youngest ever winner of Welsh two day. 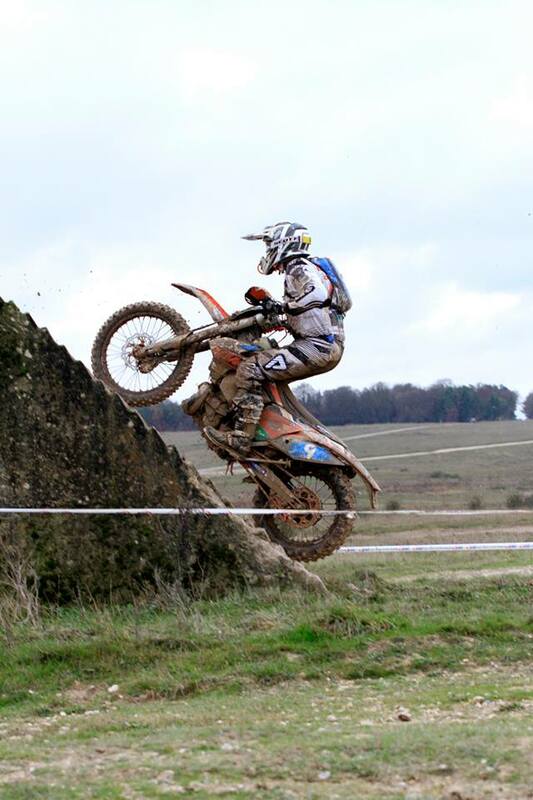 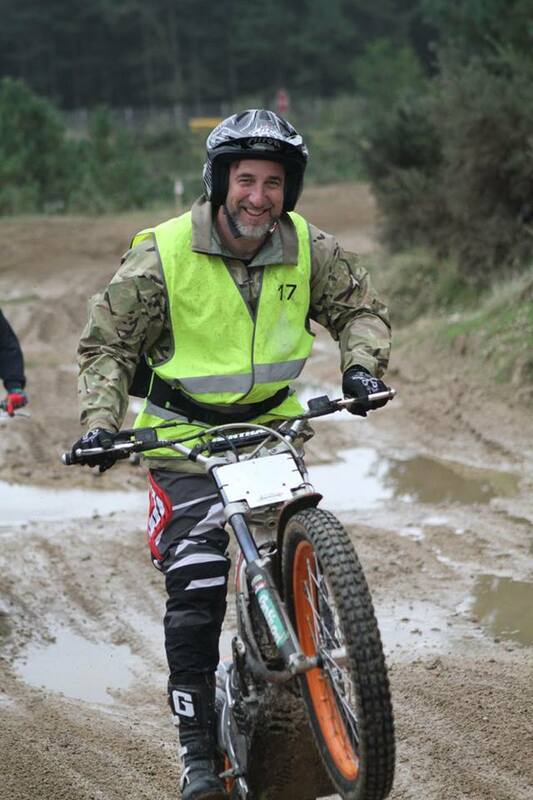 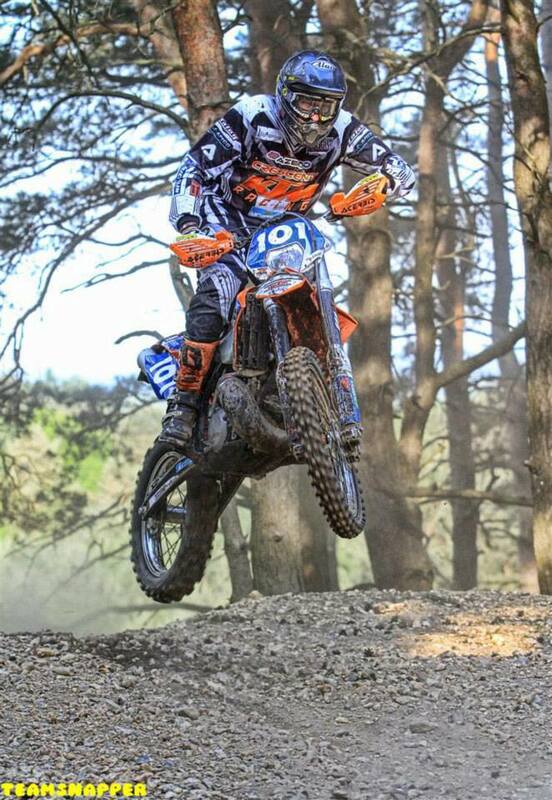 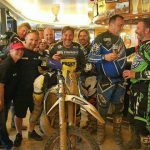 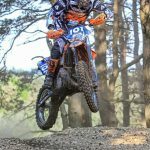 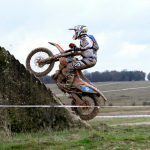 These days firmly settled with Crescent KTM UK and continuing the winning ways, keep up with Daryl’s results on his Facebook page by clicking here. 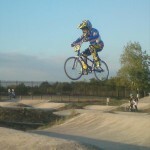 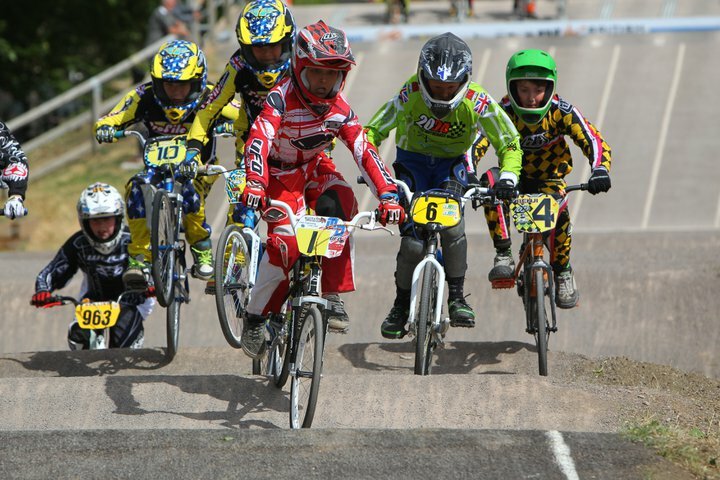 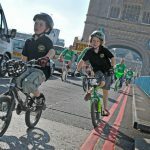 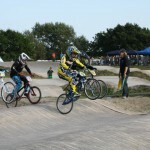 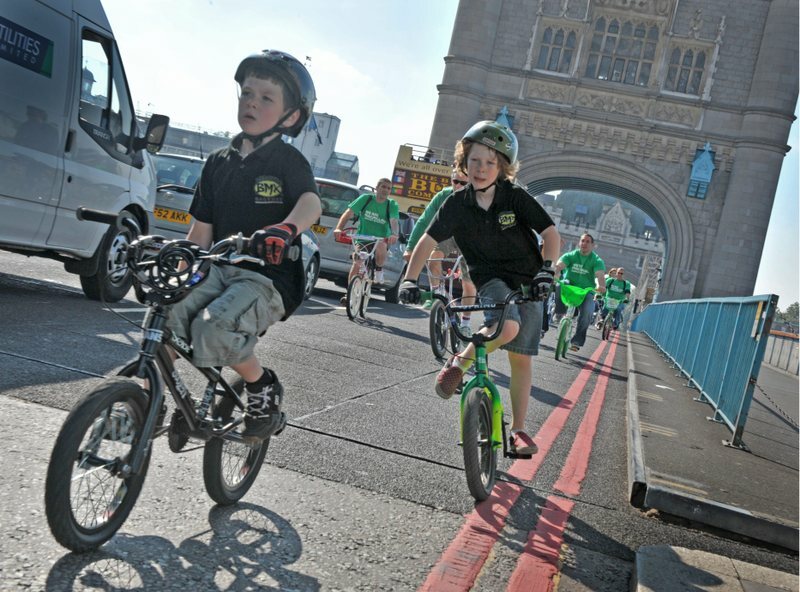 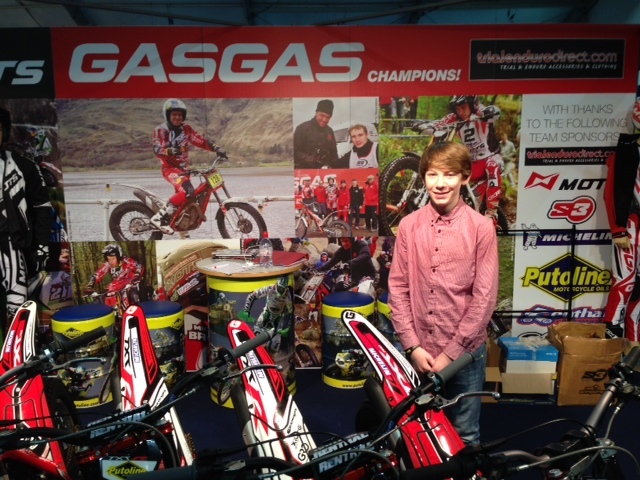 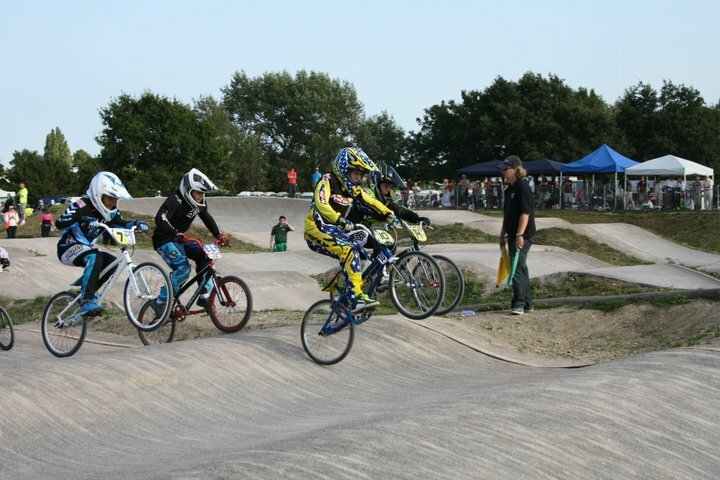 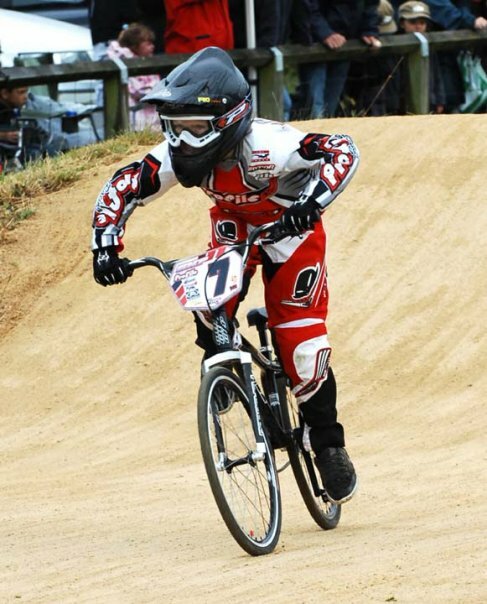 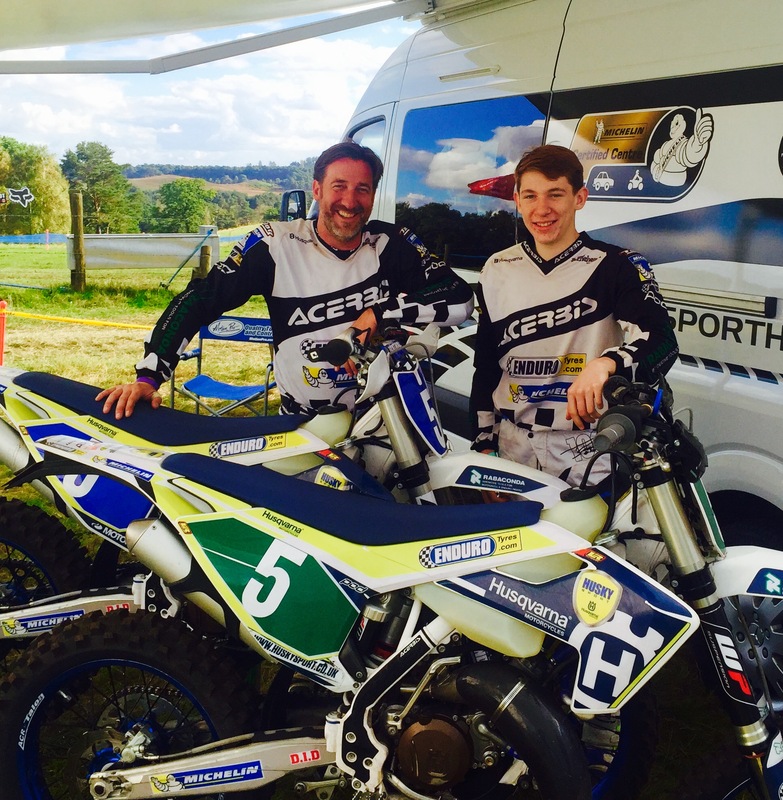 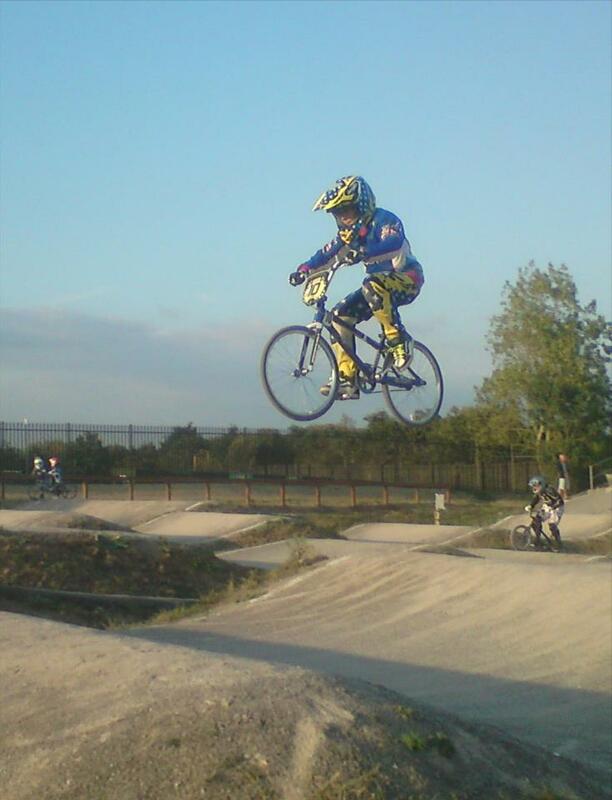 Lewis Ranger and Cousin Oliver Keane, enjoyed competing in the British Cycling National BMX race series, across the country and selected events abroad.